All was quiet and still ..
To live liberated and free. All because you know and believe… that you are enough. Wishing you a magical, playful, soulFULL week as we head into the New Year! Speaker, Soul Coach & Facilitator of Transformation. Sign up and receive instant access to three of Kylas most powerful guided visualisations and audios to start, end and live your greatest life, welcoming HAPPY everyday. 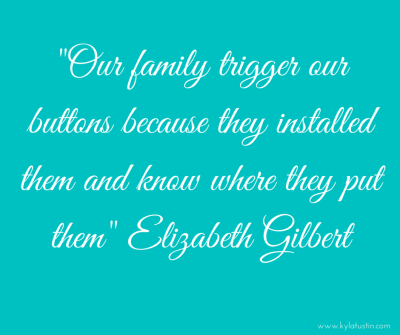 Posted by Gemma & filed under change, goal setting, Self Love, Uncategorized. This post has no comments yet. 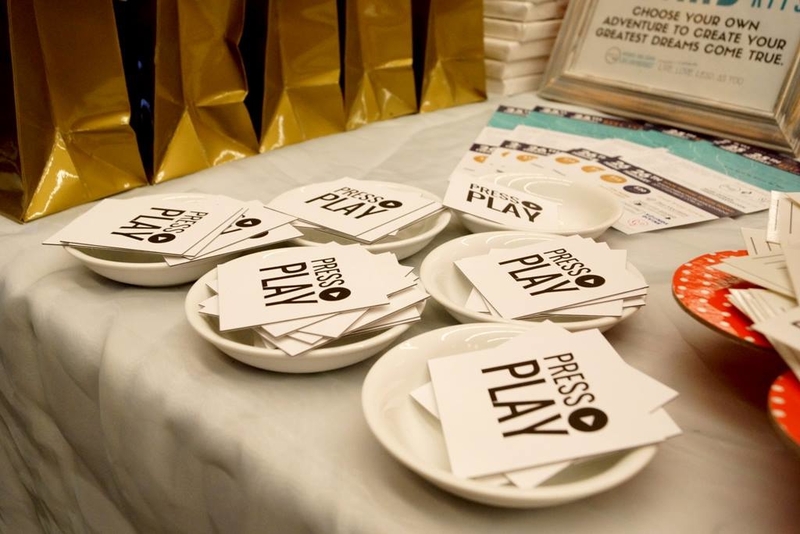 What I’ve found on my press play adventures lately is that the more I give myself permission to play and do more of what I love, the more life magnetically supports me. Many of us have been taught to work hard so we can play hard, but I’ve actually discovered that the complete opposite is true. As I press play the less I have to force, try, push, coerce, control or make things happen. It’s like the more love we are, and the more time we dedicate to being love and spreading love the greater our hearts open to receive more of this. Its like the more we remind ourselves what joyful living feels like, the greater the ripple effect is to the universe proclaiming that we are worthy, valuable and love, and then more of this flows back to us. We recently had our Embrace Life Festival and in previous years at the end of a day I would feel a little tired, worn out and need to go home and rest that night. This time I choose to completely let go, to press play all day and what I found was the more my team and I played, danced, laughed, and connected, the more energy we had. 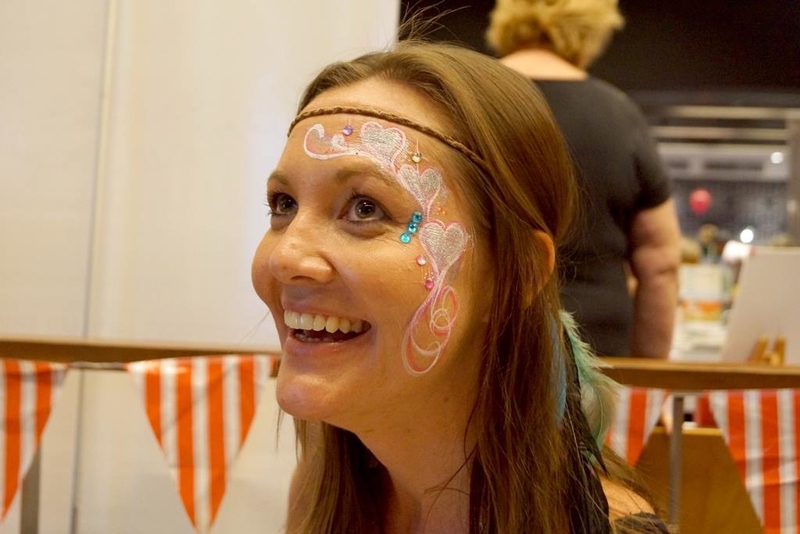 And when I packed up at 4pm I was so super pumped with energy that I headed out into Manly all dressed up in my face paint and danced till 4am, before getting up again at 7.30am for Pilates!!! Also part of the reason I wanted to go out all dressed up was to prove within myself that I no longer cared what others think of me. Its easy to get all dressed up and play as a part of our soul tribe and in a safe environment, but heading into the “real world” can often be a little more scary. What I found was that my love of myself now is so great, that I can live fully liberated in my joy, crazily free and playful in my magical child no matter how anyone responds to me. In all my excitement I even managed to get a massive group of people, men, women, couples, all up and dancing in the Steyne which if you’ve ever been there you will understand is quite an accomplishment.There was a moment throughout the night where I looked up and in complete awe I realised that a higher love was vibrating through me and as I sustained this not only did I feel amazing but so did everyone around me. The more grateful I was for every mo ment I was living, for every song that came on, and for every soul that joined me dancing, the more expansive my energy became. And my secret recipe to getting to this point in my life … yep you guessed it “daily acts of self love.” Along with a constant dedication to my expansion by investing in the purification of my heart through my own with personal soul journeys and healings over the last decade. So my question to you today … what are you doing to increase the amount of higher love in you and then inadvertently in your life at the moment.? You see, we get one go at this life and so why waste it holding back, wishing you could dance like everyone was watching, you could tell your partner how you really feel, ask for that promotion, start that business or you could call that amazing guy and ask him out on a date (this one will be another blog). And as you take that one giant leap of faith, or tiny step towards higher love this week remember to do all of this with a playful skip in your step, love in your heart and a lightness in your mind allowing you to simply BE the life you desire to create. Posted by Gemma & filed under Be EXTRAordinary, change, Confidence, Self Love. This post has no comments yet. I’m so excited to be feeling the amazing energies of October flow, especially as this “10” month is filled with the power of not one, BUT TWO new moons! This means it’s time for impossible dreams (my favourite) to come true! Yep, BIG, MASSIVE, magnetic miracles are just waiting to come your way!!! If, that is, you are willing to intend, believe, and open to receive. When I say willing to receive, you might be thinking “OF COURSE I’M WILLING!” I’m not talking about your conscious mind though, I’m talking about the super powered deep subconscious which rules your life, and may have been filled with some not very useful childhood beliefs. If not reprogrammed these could be filling your days with all the reasons as to why you are not worthy, why you “should” keep playing small, or even just limiting your happiness quota. I’m going to chat more about this and cognitive dissonance next week, for now our mission this week is to simply welcome miracles daily. Choose this week to wake up, embrace your morning with the mantra below and then open your heart to receive. Set a phone reminder will help this process. As you do this,be curious, and note down, any thoughts that rise which you feel might be limiting the inflow of miracles (e.g. they don’t exist, it cant be that easy, yeah right I’ve asked for things before and they never happened, I remember when I “wished” for …. and it didn’t happen etc.) We don’t know what we don’t know when it comes to these beliefs and awareness if the first step. Let’s also experiment this week by not “telling” the universe what the miracle has to be. You are simply just intending to practice being open to allowing a waterfall from the infinite universe within, and above, to flow in and see what arrives. These gifts might come in many forms, like a kind smile from a stranger, a work bonus or even a someone saying how beautiful you look. I do love daily miracles and cant wait to hear what it brings you this week. And if you are ready to clear any limiting and sabotaging beliefs holding you back and open your heart and energy to even greater miracles then lets do it, BOOK A SESSION, and we will have you living your greatest in all areas of your life in no time. Posted by Gemma & filed under Be EXTRAordinary, change, Confidence, goal setting, Soul Coach, Soulful Living, Spirituality. This post has no comments yet. Over the years I have discovered there is a huge difference between those who live in fear, and those who live in love. The fearful wake depressed and anxious about life, worry about what everyone else thinks of them, are in constant comparison mode and can’t quite catch a break. Then there’s those that opportunities magnetically flow to, are fulfilled in happy careers, wake up happy and energised everyday, love life and self, and live surrounded by grateful and appreciative relationships. One magical thing that can greatly assist in becoming the loved up self you deserve to be is… discovering your creative spark! Discover this spark and honour it daily by living, loving and leading from this place. This creative spark is the one thing, unique to you, that only you were born to bring into form on this earth. It requires no searching to find it, it is the thing you enjoy BEing most naturally, it requires no hard work, no perfecting, no explanation, no education and it fills you with so much joy every time you think about it… you were born to do this! The challenge many of us may have had our creative spark shut down, repressed, suppressed … or we have hidden it through fear of it being judged, criticised or failing … if this is you and you are feeling its time to reawaken yours, I’m excited to share this FREE ‘IGNITE YOUR CREATIVE SPARK’ MEDITATION over at our meditation zone. 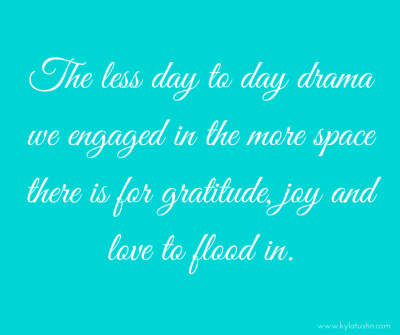 Schedule some special time to enjoy this and allow your spark and life to come alive…. Are you feeling like its time for a Kyla charge up or want to delve more deeply into awakening your creative spark … be sure to BOOK A SESSION, and lets have you living your greatest in all areas of your life in no time. I am excited now to be offering magical “Elevate Your Heart at Home” kits that go with our remote and Skype sessions to align your energies fully as we enjoy a session from the comfort of your own home. PLUS provide you with great tools and techniques to have your home feeling like a healing centre everyday. Posted by Gemma & filed under Be EXTRAordinary, Energy Healing, goal setting, Self Love, Spirituality, Uncategorized. This post has no comments yet. Aaahhh solstice energies, and seasonal changes how I love you …can you feel it too?? As I drove home from Manly yesterday after a wonderful weekend I looked up and saw the most divine double rainbow! This rainbow arriving after such a spectacular storm reminded me of the beauty we are met with after the chaos of a big messy emotional clear out, and how much fun each stage can be if we allow it freely. So this week as we begin to flow into spring and October (which is a 10 and all about new beginnings). I would invite you to check in, to ask yourself what is no longer serving your life, your happiness, your expansion and then make a choice to do one thing differently. And then move forward, one step at a time, with a smile on your dial and a skip in your step. After of course you have let any and all emotions connected to this rise and release. As true happiness only comes after we let ourselves feel the whole spectrum of emotions, the good, the so called bad, the messy and the joyous. And if you are ready to power into October and looking for a spring energy cleanse before it arrives be sure to pop in and BOOK A SESSION, and lets have you living your greatest in all areas of your life in no time. Posted by Gemma & filed under Be EXTRAordinary, Confidence, Energy Healing, Soulful Living, Spirituality. This post has no comments yet. I know many of you have been feeling the mayhem and the magic in the energies of late … and in honour of all that is rising, arising and showing up for you in your life this week I am going to simply invite us all to breathe, move, breathe, move, and breathe some more. Know that deep soul and energetic purification is occurring and with this comes a light at the end of the tunnel. We are moving out of the 3rd eclipse last week and so if you’ve been trying to control or hold on tightly its time to let go, so you can rise and fly even higher. I’m super excited for the new beginnings arriving for us all through this and having just returned from the Soul Coaching Teacher training I cant wait to be offering my first certification very very soon, and in some very very special and amazing locations. There are a few of you out there that I know in your hearts have mentioned you would love to do what I do and a few of you I have secretly known from our first encounter that becoming a Soul Coach and sharing this magic with the world was a part of your purpose. 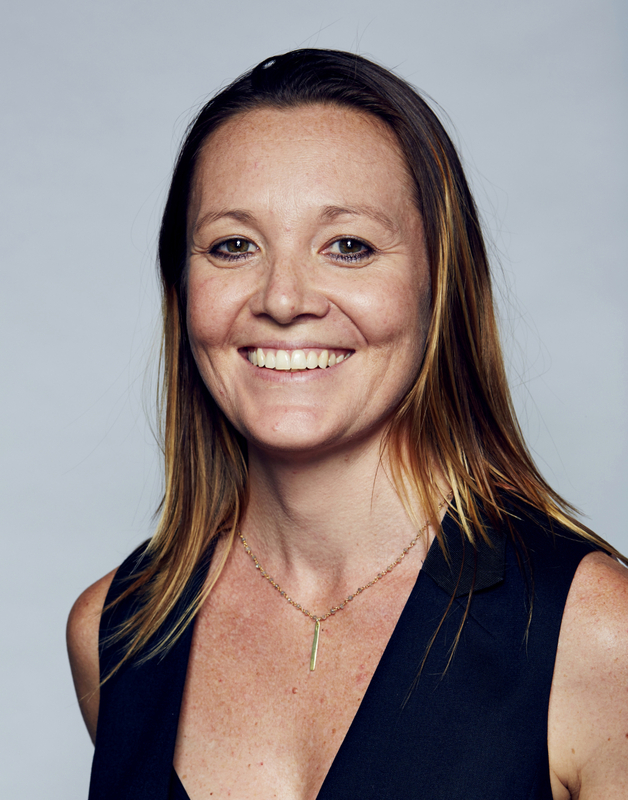 I will be heading back to the US again in a few weeks (still doing Skype and remote sessions while I am there) so if you like the in person session and would love a little EXTRA support through this energetic time be sure to pop in while I am here and BOOK A SESSION, and lets have you living your greatest in all areas of your life in no time. Posted by Gemma & filed under Anxiety, change, Confidence, iamwoman, self esteem, Self Love, Soul Coach. This post has no comments yet. To live liberated in our greatness and ignite our creative spark, WE MUST be willing to take the lead of faith, which requires simply taking the first step. Our next step this week is about showing up every day ready to overcome our very own inner Goliath, and with love in our heart facing these monstrous fears, doubts, and contractions. Knowing that because you are a seeker of greatness, it’s not about if these gremlins will arrive, but when, and when they rise, its your opportunity to rise with them in love, and take the next step anyway. This weeks mission is to ask yourself in terms of giving yourself permission to live a more purposeFULL life… “what is my next step?” And again you don’t need to focus on the how, the why, or even the what’s next after this, just this very next step. Taking this with huge faith and love in your heart for who you are choosing to BE and the future you are choosing to create. When you do this you will begin to let go and start to be able to truly cherish the adventure of each and every moment and step that you take. Now that’s living your greatest life. As you listen imagine allowing this fire to burn away anything that stands in the way of your greatness! If you need a little support in taking this first step know I’m always here to support, BOOK A SESSION, and lets have you living your greatest in all areas of your life in no time. Posted by Gemma & filed under Anxiety, change, Confidence, leadership, self doubt, self esteem, Uncategorized. This post has no comments yet. To live liberated in our greatness and ignite our creative spark, WE MUST decide who we want to BE, and then give ourself permission to step into creating and becoming this greatest version. What I have also discovered, finally, after a lot of trying to control, forcing, and wasted doing energy is that life isn’t about reaching our “ideal” outcome or destination. It’s truly about being accepting, loving and happy with life now. Then we set more soulFULL intentions around where we want to go, who we want to be, the legacy we desire to leave every encounter we have and choose to live daily from our unique creative spark. This weeks mission is to ask yourself “who you want to be” and to fully embody your purpose aligned self by becoming this by “acting as if” every single day, through open curiosity and fun of course. In traveling the US at the moment it has allowed me so much liberation to step into an even greater, more liberated version of myself, and I know you can do the same. You don’t need to focus on the how, the why, or even the what’s next for now, just invite this part of you into your heart and life. If you can intend it, you can bring it into form. You’ve got this … how do I know, because I’ve met the infinite liberated you in my dreams and they mentioned they are just waiting to let go and allow them to show up!!!! ng.If you need a little support in stepping into this greatest most loving version of you know I’m always here to support, BOOK A SESSION. and lets have you living your greatest in all areas of your life in no time. Posted by Gemma & filed under Uncategorized. This post has no comments yet. To live liberated in our greatness and ignite our creative spark, WE MUST Accept our lives, and give ourselves permission to be human and shine. I was reading an article the other day and it spoke about “giving ourselves permission to be human” and I thought “hell yeah” we need more of this in our lives. Often on our I want to be the best me adventure, we forget to simply accept all that we are now. And with this comes giving ourselves permission to shine, even in the darkest of human experiences, emotions and moments, and realising that it is in these moments we get to truly show up and love and accept ourselves. So our mission this week … unconditional acceptance of all that is. Hot date STEP one … SMILE & think of one thing I am grateful for and WHY… ooohhh thats easy, I’m always so grateful for you, and the place you have in my life, thanks for showing up, sharing this adventure with me and being willing to transform the world together. If you have any questions around shining brightly and welcoming HUGE amounts of self love into your week, get in touch, BOOK A SESSION, and lets support you to live your greatest in all areas of your life. Posted by Gemma & filed under Confidence, Energy Healing, gratitude, Self Love, Soul Coach, Spirituality. This post has no comments yet. How to turn up the FUN! To live liberated in our greatness and ignite our creative spark, WE MUST have more fun. So our mission this week … have some FUN. Take yourself on a FUN playdate, maybe call up that friend, you know who they are. The person, that no matter what you are doing with them they will bring a spring to your step, a smile to your dial, and then schedule the time to simply enjoy yourself. And if its been a while, know resistance will arise, distractions will tell you, you are too busy, that you have too much to do, you couldnt possibly until… is finished. To overcome this … observe it and have fun anyway. You can even CHOOSE to bring the energy and attitude of FUN to everything that you are doing this week e.g. yep as you clean, wash the car, do your tax, plough through your to do list, WHY NOT pump some tunes, shake your booty and make it as playfully enjoyable as you can!! Till next week, if you have any questions, get in touch, BOOK A SESSION, and lets support you to live your greatest in all areas of your life. Posted by Gemma & filed under Be EXTRAordinary, change, Energy Healing, Soulful Living, Spirituality. This post has no comments yet. To live liberated in our greatness and ignite our creative spark, WE MUST fill our cup first and show ourselves love. As many of your know in becoming “newly independent” late last year, after nearly 14 years magical years with Tobbe, I am in a brand new phase and stage of my life’s masterpiece. I’m not going to gloss over it, as I am sure you can imagine this has brought with it many soulful self love challenges, and also many amazing blessings and gifts. You see we are still so conditioned to believe that love comes from outside of ourselves, and what I know for sure is that this just isn’t true. Sure loving connections can support our adventure of life, however the more we go outside for validation, safety, connection and fulfilment, the further away from our truth and an open heart we become. And then if we become reliant on others and experiences for significance, happiness and love and they leave we find ourselves feeling empty, lost and alone. So our mission this week … show yourself some love and ALOT of it. Through the thoughts you think, the food you eat, the drinks you drink, the actions you take, the exercise your enjoy, the rest your choose, the music you dance too … whatever you choose to do this week choose things that fill you up, show yourself the love I know you deserve and then take a moment to celebrate this act of love. And to any of you out there feeling a little lost or lonely in the world of relationships, either single or even in one, know I am holding the most immense space of love and compassion for you. The world of our masculine and feminine within is unifying and this can bring up ALOT for us. So in true Kyla form, I am onto it and a creative spark is being ignited as I research the world of male and female wiring, relationships and keeping the passion alive and I can feel in 2017 a magical new workshop is coming into form. Till then, if you have any questions, get in touch, BOOK A SESSION, and lets support you to live your greatest in all areas of your life. Posted by Gemma & filed under change, Confidence, Self Love, Soul Coach, Spirituality, Uncategorized. This post has no comments yet. And here they are .. I hope you enjoy this simple tip and remember the energetic purification occurring at the moment for everyone, (no you are not alone in this though sometimes it can feel that way) is HUGE. Many people have been messaging me asking if I am still doing 1:1 energy healings and tune ups, and yep I sure am! So if you are feeling the calling, give yourself this greatest gift of filling up with love and get in touch or jump online and book in. Posted by Gemma & filed under Be EXTRAordinary, change, Confidence, Energy Healing, goal setting, gratitude, leadership, self doubt, self esteem, Soul Coach, Spirituality. This post has no comments yet. To become great … to be great … to live liberated in our greatness, WE MUST anchor compassion for ourselves and others. OMGreatness …. so last week I had the honour and privilege of randomly meeting a Buddhist Lama and getting to spend the day with him. And I can assure you, you totally think you have your kindness and compassion muscles fully pumped, until you hang out with someone as unique as this and he blows your mind, quite literally into purity. 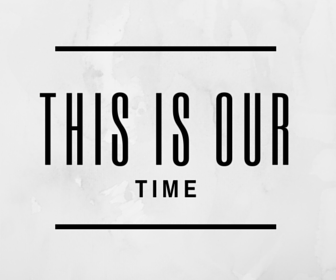 So you guessed it … our mission this week COMPASSION, and loads of it, its definitely time. I had already been feeling the calling to listen to the beautiful chants of OM MANI PADME HUM quite a bit lately and now I know why. The gift these words bring are greater levels of purity and compassion to our mind, our energy and our lives, and you can truly feel it as the words and sounds wash over you. In listening every morning and night I can already feel my heart opening wider and shifting up a gear, which is making me feel calmer, more present, more compassionate towards myself and others, and just all in all feeling more energised. EXCITING stuff, I cant wait for you to enjoy it to and for added bonus you can even chant along too!!! Posted by Gemma & filed under Be EXTRAordinary, Energy Healing, Soul Coach, Soulful Living, Spirituality. This post has no comments yet. To become great … to be great … to live liberated in our greatness, WE MUST do something differently. Let’s love you like I do, and be courageous enough to do something, anything this week differently … and of course choose something that aligns you more fully with your highest dreams and values, and your not so “secret” greatest life that I know lies inside your heart! This weeks inspirational song: stop waiting, set a new pace and love you like you do! PS. DONT FORGET as you are all in my VEP (very EXTRAordinary people) gang I am offering you exclusive free access to the first group meditation this Tuesday 31st May 7.30-8.30pm and so register and receive the link to the zoom hangout CLICK HERE. And I cant wait to see you all and PLAY in this new and exciting realm with you. 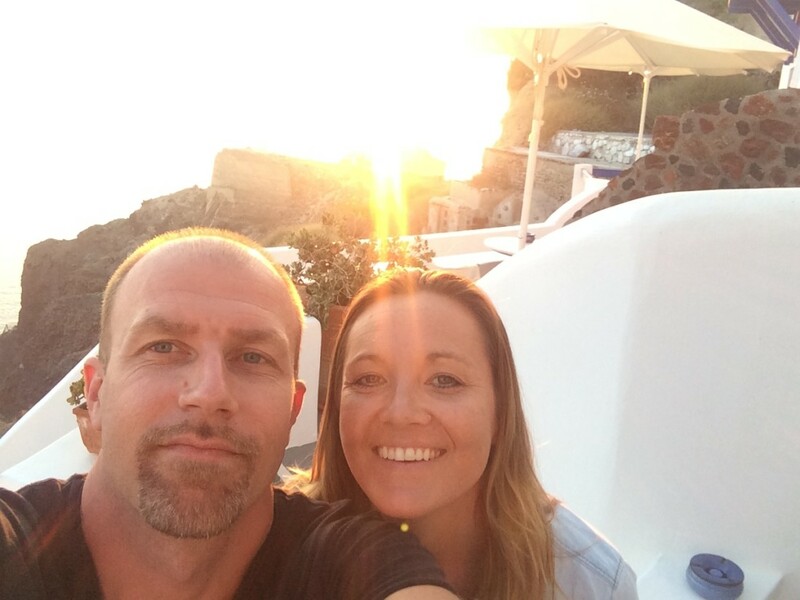 Posted by Gemma & filed under change, Confidence, goal setting, Self Love, Spirituality, Uncategorized. This post has no comments yet. OH dear there is just so much going on I am not sure where to begin … so ill start at the beginning, shall I? When I started out in 2010 I could never have imagined I would be doing what I do, and getting to hang out with so many amazing women and men across the globe. My mission was to simply make a difference and discover what could be different if we brought more love into the world, from the inside, out. If we came together more, shared more, opened our hearts more, and expressed our true self more. NOW though its time to ramp it up a notch wouldn’t you say, and in the world of transformation actions totally speak louder than words. So i’m going to begin by bringing us all together more, though in a magical world bridging global sense and starting with some free SUPERpowered online group meditations, and very special FaceBook Live meditations on Wednesday mornings. As you are all in my VEP (very EXTRAordinary people) gang I am going to offer you exclusive access to the first group meditation on Tuesday 31st May 7.30-8.30pm and so register and receive the link to the zoom hangout CLICK HERE. And I cant wait to see you all and PLAY in this new and exciting realm with you. And so if you haven’t gathered our mission this week … to come together and connect more. Instead of texting, call someone you may not have spoken to in a while. Or instead of sitting at your desk at lunch, go outside, connect with nature or smile at a stranger. Who know something wonderful might just happen … HINT .. its called LIFE hehehe. Posted by kylatustin & filed under Be EXTRAordinary, change, Relationships, Self Love, Soulful Living. This post has no comments yet. We will move through our day, knowing pain, hurt, betrayal are simply fertiliser for our soul to deepen and grow into fullness, aliveness and beauty. We will crazily jump outside the box, splash in puddles, draw outside the lines, dance like everyone is watching and smile in each moment at the freedom and beauty that resides in life. 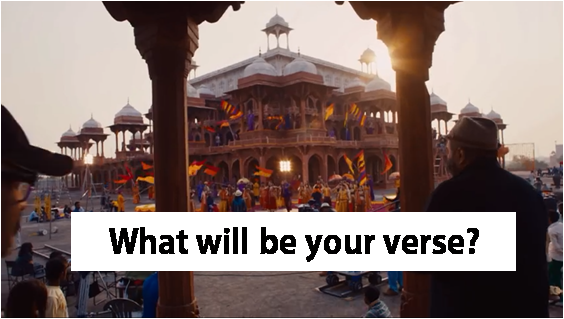 The time is coming… can you feel it… creating your great will no longer be an impossible dream, it will be the most probably outcome of your entire life. Welcome it, feel it, think it, live it, create it and know it starts with our daily commitment to living fully expressed in your self love. Posted by kylatustin & filed under Be EXTRAordinary, change, Confidence, Energy Healing, Soulful Living, Spirituality, Uncategorized. This post has no comments yet. There is a moment between a moment. It’s called the tender sweet spot. deeply into greater levels of love. There is a moment between the moment. Where the mind becomes still and love in its purity resides. A space where hearts unite. Where doubts dissolve, where love always prevails and smiles illuminate. This weeks song … may its sounds ripple through every cell in your body …. 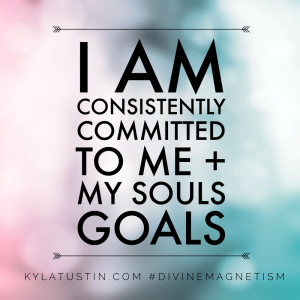 Posted by kylatustin & filed under Be EXTRAordinary, Confidence, Soul Coach, Soulful Living, Spirituality, Uncategorized. This post has no comments yet. So we have been chatting alot about YOU, lately, which of course is my most favourite topic, however sometimes we can get a little fixated on ourselves, what is or isn’t working in our lives and forget that there are some other magical ways of fast tracking our greatest life, and enjoying lots of awesome feelings that come with it. One of my personal favourites (which I’m sure we’ve spoken about before), and highest values actually is … drum roll please … KINDNESS!!! And the best kindness acts are definitely the random ones. I think its the excitement of discovery and anticipation that comes with it, that gets my heart fluttering the most. Yep, its simple, effective and has been proven to not only make me feel amazing; it also slows ageing, gives us a healthier heart, makes us happier, improves relationships and best of all is contagious. So our musing mission this week … get your creative hat on and offer a cheeky random act of kindness into the world!! Maybe its a “you’re awesome” note on someones desk, a donation to a charity you love, buying someone after you a coffee in the cafe … I’m sure you will find something that gets your heart fluttering. And as a receiver of some little love notes left around my house this week after my cousin stayed, I can assure you it feels so wonderful to be on the receiving end too. This weeks song to inspire even more kindness + gratitude in our week …. Thanks for the chat, and may this week bring bigger than big miracles and creative sparks flying through your heart. Posted by kylatustin & filed under Be EXTRAordinary, change, Confidence, gratitude, Relationships, Soul Coach. This post has no comments yet. “So tell me what you want, what you really, really want ……BUT (there’s always a but when we let the mind take charge hehehe) !!!! Do you even know what you really, really want?? There have been many times throughout my life’s masterpiece when I have paused and asked myself this very question. You see as we transform, evolve, shift and remodel so too, do our desires, goals, wishes and dreams. And if we don’t check in every now and then we might actually be chasing something that we don’t really even want, which will mean failure isn’t just an option, its an certainty. With an average of 50% of NYE goals failing by June (yep 2 months to go peeps) I feel like its time we up the anti in our VEP community, take a moment to check in and ask yourself truly, madly, deeply … what you want … and together we GO GET IT!!!! ‘Why?’… I’m hearing you ask, well because you are so very very worth it, and as I learnt the long way if we wait for permission from someone else we are going to be waiting a very long time. So our divine musing mission this week is a magical invitation …. 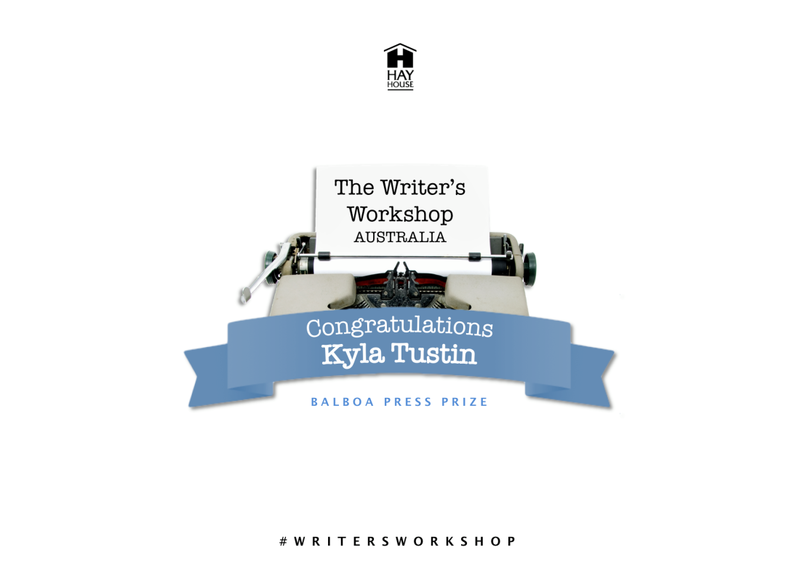 imagine today is your Kyla appointed special day. I’ve bought you a beautiful “YAY for YOU” celebration cake and its time for you to make a wish. We take a moment to open your heart widely by placing your hands on your heart as you take a few deep breaths. 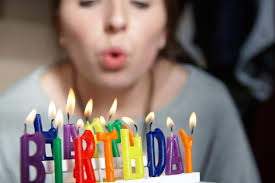 You close your eyes, and you make the biggest GREATest wish you could ever dream for your life right now … and then you blow out your candles. PS you can’t get this wrong, and it doesn’t have to be perfect, just be open, playful and curious as to what arrives. NEXT, What I would love, love, love is for you to hit reply to this email and send me your wish. And then, not only will I energetically place it into my magic WISH jar (see below) for it to be infused with DIVINE MAGNETISM all this week .. I am also in the process of creating something very very new and special since heading back home and so your wish may literally be my command, intriguing I know but I can’t say too much just yet!!!! And if you are super duper keen to play full out, I would also love you to share the top thing you think or feel has held you back from making this wish happen so far in your life? Aladdin, eat your heart out, check out our magic lamp … !!! May this week offer you a chance to dream bigger than you ever imagined, to make this wish count and to know you are so very loved and supported in your dream wish and to be you on this beautiful earth. Posted by kylatustin & filed under Be EXTRAordinary, change, Energy Healing, Spirituality. This post has no comments yet. Aaaahhh …. can you still feel the magic and playfulness of the April fool flowing through your month … and in combination with the potent super new moon last week, its energy is definitely ramping us up for this divine time to set some grandiose intentions for what you are going to magnetise more of in your life and then of course be willing to take the first step. I am in the process of preparing for my “spiritual entrepreneurs” week in Hawaii and it has definitely got me thinking about my “next step” in terms of living, loving and leading as me to support each of you to create your greatest life. As a part of this we have been discussing the power of RESISTANCE and the many forms it can take in our lives. Especially, when we are about to take that next step into the unknown, into greatness or outside our comfort zone. For some it might be illness, mind games, distractions, procrastinations, falling back into old, unhealthy habits, working too much on other things, kids, or even just putting our needs last. I have come to believe that this resistance list may even be longer than the never-ending story itself, because that’s where it all begins, with the story we are telling ourselves. Posted by kylatustin & filed under Anxiety, Be EXTRAordinary, Confidence, self doubt, Uncategorized. This post has no comments yet. Its time to embrace the serious side of play! Seriously … I mean seriously … when did life get so serious. I know April 1st has come and gone, but I just felt the deep desire for us to acknowledge the energy of this “all fools day” given it is seen to be one of the most lighthearted days of the year. And it starts our month, so lets invite its energy to flow through our month. These day we over think, over analyse, over compensated, over worry … and I don’t know about you, but when this rises for me it can be awfully tiring, and the only tricks we seem to engage in are games of the mind, which are not very fun at all. So I am putting it out there … how could you possibly embrace your inner fool this week, get a little silly, play a little rowdy, and spread some more joyful silliness into your life??? Instead of the old stagnant seriousness, which is soooo 2015. Maybe not a favourite of mine but you can’t help but laugh and smile with this one. Posted by kylatustin & filed under Be EXTRAordinary, change, Confidence, self esteem, Self Love, Soul Coach. This post has no comments yet. I’m currently packing my bags for the US as leave tomorrow and I always love the chance as I FLY somewhere to choose as the plane lets go of the earth’s atmosphere to LET GO of something that is no longer serving my current level of joy and love vibration. With this imminent excitement I’ve decided this week its time to get down and deep as we serve up a good old platter of heart truth, topped with some magical sprinkles of course!!! So I ask you …. who (this could be yourself or someone else) or what do you still find yourself blaming or complaining about for your currently level of reality and/or life??? Now this question in itself might make you feel a bit squirmy … “who me???? I’m way too nice to think or feel ill of anyone” …. hehe yeah right. Sure in your heart and soul maybe, but we all have little gremlins inside our head that like to look outside of ourselves to avoid taking FULL accountability for some part of our life. These sneaky little voices will either hold on and tell you to keep busy and avoid looking at it, or quite simply continue blaming someone else. This is what I like to call “avoidance, blame + complain addiction” and sadly what I know for sure, it keeps us feeling icky and powerless if we allow it to lead the way. The magic you see, comes when we are willing to STOP looking at the other person for forgiveness, or blame, and take 110% full accountability for our part. And yes forgiveness of people, places, experiences and ourselves can be a tough journey as literally “truth hurts”, however the rewards I assure you are well worth it. And if you are not sure HOW to do this, particularly if this has been a block for a while, my magical NO REGRETs crystal activation and transformational healing journey might just be the shift you need. The best bit with this magic, all you need to do is schedule some relaxation time, lay down and give yourself permission to receive the healing energies and vibrations as I gently guide you through the journey adventure. Heres to even more freedom, for you, me, and everybody this week. Posted by kylatustin & filed under change, crystal healing, Energy Healing, Relationships, Spirituality. This post has no comments yet. How are you on this very wondrous day? I’m guessing, things might be rising a little in your world, as they are mine anlot of others on the path to greatness. You see in this very very special “9” year, there is so much deep clearing going on energetically and emotionally for many. With all this rising it feel’s only fitting to fill our musing this week with a magical process of accepting, allowing and letting go. Remember the great saying “what you resist persists” and this couldn’t be more true at this time, so our musing mission is going to take super duper self awareness. You see, the busier we are, the less likely we are to realise what needs to let go, and the easier it becomes for sabotage or distraction to take over. The energy at the moment might be rising as incessant thoughts, emotions, out dated behaviours or reactions … and the most important opportunity you have, is to observe, witness, accept, receive the wisdom and then choose to release the energy. Judgment, control and holding on at this time will only serve to increase discomfort and zap our energy of our loving life force. No thanks!!! You may then choose to imagine seeing it like a cloud leaving or a cord of energy dissolving, from your body or your mind, and then you can choose to fill yourself up with love. Aaaahhh freedom. Now for some of you, you may feel you need a little support with these shifts at this time, and this is totally where I come in. So be sure to jump online to book a session and we will have you fully energised and feeling free again in no time. And we can even share this while you sleep with a super powered remote session. FYI I will be heading off to the US for 5 weeks on the 22nd of March so lets lock you in before I go. You are doing and BEing amazingly, and I know you’ve totally got this letting go and turning up the love in your life totally covered this week … peace out magical friend. Posted by kylatustin & filed under Anxiety, change, Confidence, Energy Healing, gratitude, Self Love, Soulful Living, Uncategorized. This post has no comments yet. Are you holding yourself back from Happy? Its pretty cool that we get an EXTRA day in the year today to LEAP into life, and get moving in the direction of our dreams … hmmm I wonder what will you do today to make the most out of this extra day???? I get a strange feeling today that there is something, or someone, you know you can BE and maybe just maybe, you are holding yourself back. Don’t fret it happens to the best in all of us. Though the times and tides are a changing, and today is your day to just be, or do it, anyway. 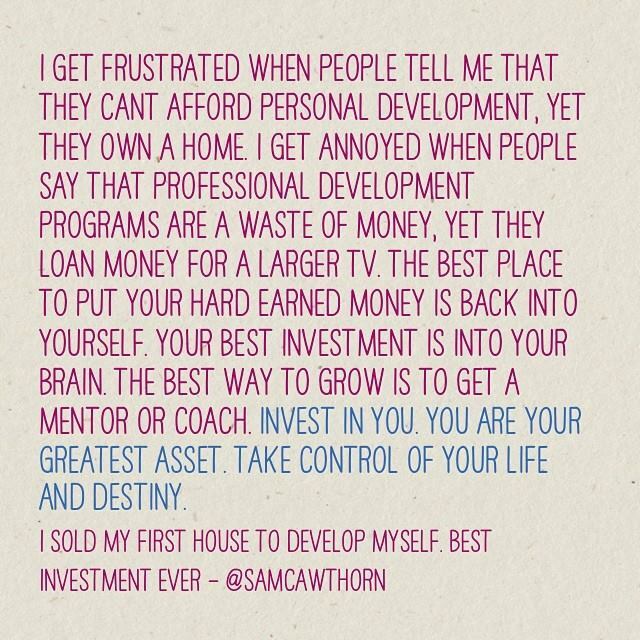 Let’s take a deep breath, tap into the part of your that already knows you can own this, and quite simply stop listening to the past or future gremlins of DOOM that lay inside of your head. You see I realised lately, that if you can have a dream or intention, if it has brought itself into your awareness then at some level it must already be true, in some time or space continuum, you are already totally living this idea. So now it just about speeding it up a little and bringing it into form. Let’s make this week the week, you truly commit to doing ONE thing that is going to bring you closer to the optimum future self you know already lays patiently inside you. I see them, feel them, know them and celebrate you for having the courage and bravery to welcome them home. Now for a little musical encouragement for our week …. with the intention of WAKING up the part of you that remembers how to believe in YOU and the magic of life. “I’m ready for a better life. You see we also have to be to willing fully commit to ourselves, and then to let our dreams free, and if they come back in that form great, if not, know that some thing better will always arrive!!! Yay for you I know you’ve got this covered … peace out magical friend. Also we are having so much magical transformational fun with the wonderful team currently on the Turn Up the Love program that I have decided to launch another powerful adventure before I head off to the US. The next group begins on 3rd of March and so if your soul is calling to remember the love you were born to be, and illuminate your purpose with clarity this year… then I’d love to play along with you. Posted by kylatustin & filed under Be EXTRAordinary, change, Confidence, goal setting, Uncategorized. This post has no comments yet. Happy magical Full Moon Monday! So my dear friend what are you choosing to “commit to creating” this month??? You see, with all this special Virgo energy flying around it feels only fitting to honour her practical vibes of “commitment + discipline” as I invite DJ Kyla into the house … for some magical musical play and insight. Because truly, its your decision and you’re gonna live it. 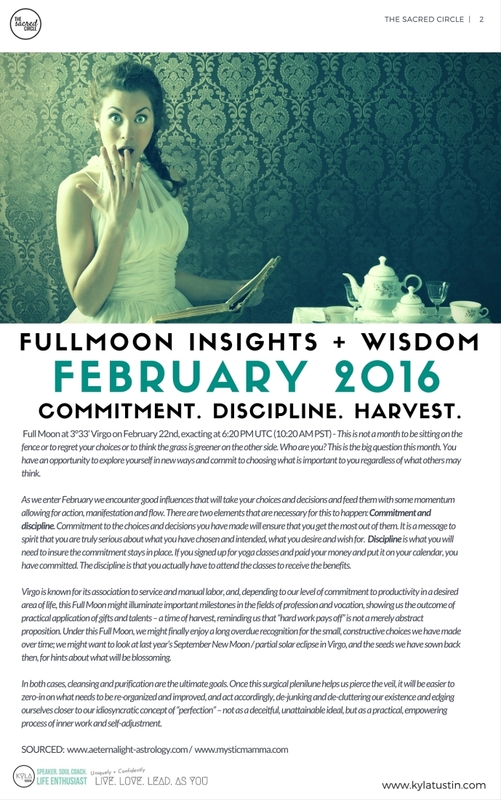 And if you are looking for a little further full moon insights for February … click the image below for The Sacred Circle summary. Posted by kylatustin & filed under Be EXTRAordinary, change, Energy Healing, goal setting, Soul Coach, Uncategorized. This post has no comments yet. How did you go with your BE Brave mission??? … my hope + vision is that this BEcomes your new way to BEing in 2016. Yep, totally putting yourself out there and fully stepping into life everyday. So where to next … you ask??? Our weekly musing mission: BE Bold … this week is going to take you into remembering what it feels like to show up everyday as you, to feel confident as you + to be continuously reminding yourself of your willingness to create the most EXTRAordinary life ever. ACTION something that you have been wanting to do for a really long time. Ask yourself “if I fully accepted the wholeness of my confident loving self I would …” let the ideas roll into your mind and heart and then choose one. Book it in and get it done. Our unseen energy shift: Through this one action we are going to dissolve this crazy idea that the world needs you to be anything other than WHO you are already. The more you action through love, you show up as you, the more you will realise the brilliance + illumination that already shines with you + the less likely you are to listen to the gremlin voices inside your head telling you otherwise. Posted by kylatustin & filed under Uncategorized. This post has no comments yet. BE remembered. I lived, I loved, I led … as me. who will you be remembered for BEing? With so much focus in the world to look outside ourselves and the focus on the DOing, we have lost the gift of all that naturally flows through our blood system, our BEing. We have forgotten that we are each born of stardust; pure, magical, loving and filled with hope. So I ask you, with the openness of open hearts … if on the day of your passing everyone quoted one word, in honour and reverence of your whole existence … without any attachment to what you did, how will you be remembered. Posted by kylatustin & filed under Be EXTRAordinary, change, Confidence, Uncategorized. This post has no comments yet. WOW then, now then, where shall we begin this wondrous year together … interestingly you’ll find its with COMPLETIONs. You see we have entered into a “9” year numerologically and so there will definitely be alot of letting go and completions to rise, however for many I feel there are still a few little 2015 wishes incomplete we might need to deal with before moving ahead. 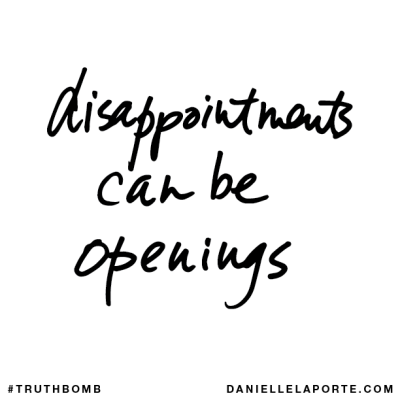 Yep, I’ve been hearing a little bit of dismay and disappointment around town from a few people WISHing last year was some what different or that certain things had changed or transformed in a specific areas of your life, which just hasn’t quite occurred. So if this is you, the GREAT NEWS you have till the new moon on the 10th of Jan to energetically smash this story in whatever way you need. And I offer you now a couple of solutions you can CHOOSE from … you can still take an action step towards transforming this area, yes any commitment, done on any day, is still as powerful as the last. Or you might simply choose to fully complete the year by forgiving yourself for anything “undone” and LETTING IT GO before this new moon energy arrives. Also a hint, in some areas of your life you might actually BE exactly where your soul needs to BE and its your pushy ego you just need to stop listening too. as we discover that consistent ongoing commitment to ME (you) + my (your) souls goals + illumination will transform everything in 2016. You are all signed up, please check your inbox and spam to continue our adventure. Posted by kylatustin & filed under Be EXTRAordinary, change, Energy Healing, goal setting, gratitude, leadership, Soul Coach, Soulful Living. This post has no comments yet. This musing today is in honour of LOVE … true love and how even when we step away from, or are willing to let go of love, to let the people we love grow into themselves even more fully, to let ourselves become even more of ourselves in and out of love, we can still be open to loving, love, loving them and being in love with love. And in the process when we feel like we are falling apart, we might actually be falling back into place. When I decided to share this post with you all I wasn’t quite sure where to begin or where it would take us, to be honest it feels like this post could fit a whole book. You see that’s the thing with massive transformation, every day, every week, hell every moment feels so different. The beginning feels so much like the past, likes its over, complete and so far away, and yet the current was still feeling quite raw. Though I knew in my heart last week as I typed the words of sharing I had to open myself up and begin to allow the words to flow so that we can all feel supported in my changes, openings, letting go and journeying through my talking, sharing, and walking my talk. As I write this today I realize the tremendous amount of love in my life, my heart, and our very special community, things already feel so different. And I want to honour this by thanking all of you who sent a message or gave me a call to check in on my craziness of late. Our authentic connections mean the world to me, and truly are why I do what I do and remind me of just how lucky I am. OK so back to the life of Kyla … a couple of months back, I began to feel a stirring in my soul that things were about to rapidly transform. Just before this began I had also committed to completing a transformational program with a dear friend and spiritual teacher with the intention of letting go of all physical, emotional, mental and spiritual constraints to my purpose, joy and living the fullness of these in my light and I now realise fully the power of our intentions. Yes, be careful what you wish for hehehe. Through this I knew I had to let go of our beautiful centre and space in Mosman, it needed the opportunity to change form, tick that was done but something else was rising and I didn’t know how or what exactly, it was just a feeling. Now the interesting thing about a feeling is that often you can’t explain it. People, including me, want answers, we want clarity, we want understanding and most importantly we want someone or something to explain, blame and give reason to the chaos and craziness of life and sometimes we simply can’t put words to it. I begun to observe my life from afar and what I saw was patterns of habits forming day to day that were showing me something was amiss. I was watching a lot of TV, I had lost interest in some of my most inspiring passion projects, I didn’t want to move, go outside or exercise and on some days my spirit was simply feeling low. Now as many of us know the energies of late being welcomed into the earth have been huge, and sure I could have convinced myself that these feelings were just part of this and chosen not to look at my own human life, and be individually accountability but I knew this purification was happening with me, not to me. So as I do, I began to dive deeper than I have ever gone before. I envisioned that all the illusions and delusions I had created in terms of distractions were dissolved and I asked myself “what is missing, what does my heart and soul require of me and what do I need to let go of?” And as I did this, and Tobbe and I began to chat more and more about what was rising, we began to see the potentiality that our world, our life and our relationship was about to fall apart right before our eyes. In my journeying, meditation and observing my life I began to realize that something needed to change and prior to this the last place I thought I would have to look, was my relationship, but there it was, hiding in plain sight. To put things in context of why this was so hidden, Tobbe is the most amazing man, he is supportive, kind, unconditionally loving (even of my super craziness and creative free spirit). He is my biggest love, my best friend, my confidant, my CEO, my truth when I can’t see past the noise and he has been by my side from 23 year old party girl to 37 year spiritual teacher in full acceptance of me and my transformation. Truth behold, I am not even sure I would have gotten through some of the chaos I’ve had to clear to be where I am today without him. We have been together for 13 amazing years in a relationship where blame, negativity or abuse simply doesn’t exist. We communicate, share openly, we laugh magically, we are 100% accountable for our pieces of the pie when conflict arises and we give each other the time to dissect our parts before coming together to go deep and share even more. But … and yes there is a but … we both began to agree that something just didn’t feel right, that something was missing and no matter how small this was, we needed to honour its presence, and be willing to step out of the comfort we had created around us and into the unknown. We began to discover that our passion, our spark, our fire for our own individual soul love was slowly being forgotten, we had begun to silently and unknowingly put some of our needs to the back of the cupboard and didn’t even realise we were doing it. We weren’t sure how or where this began but I sense that when two highly empathic caring souls come together in such a deep loving union, to learn and grow together, it requires a deep deep diligence not to merge at some level and let go of a tiny piece of yourself along the way. But in our journey right now on the earth, no matter how tiny the piece might be, we are being shown that all pieces are needed to complete our missions and to live in our joy. To live in full enrichment and to empower the divine feminine and masculine within we needed to honour completely this fullness from within and sometimes this requires alone time and space to let go and find what we have let go of within. As this all continued to rise to the surface, we spent the following weeks before and during our trip talking, crying, laughing, meditating, crying some more. As the layers began to fall away we both realized the only next best step was to take a break, a reset we have called it, and at this point where we end up next neither of us know. With this unknown, truly comes for both of us the excitement of discovery, grief, fear, joy and of course freedom …. This is the blessing of truly feeling deeply in this life, we get to welcome all the guests, to let them visit and to be with what is rising. And be with it I am, and I continue to be. So I sit here now before you 3 months after this knowing began to rise more open, more vulnerable and more free than I have ever been in my life. Its taken a lot of inner strength to walk this path and still is everyday. Theres been lots and lots of self care and nurturing, lots of boundary setting with work and I am so proud of us both for walking this path in full honour of ourselves and each other. You see when something, a feeling arises (yin), it must be followed gently with action (yang) in union or else nothing changes. What I see in the world a lot is people wishing things were different but not willing to step beyond the comfort and take a stand for their own love, life and enrichment. And this too is why I share, so that each and every one of the souls I meet along the way, yes including you, are reminded of the strength, courage and bravery that resides within you. Last Thursday our home settled, I said goodbye to the dear sweet owl that sat in the tree for the last 2months supporting me everyday with her wisdom and comfort (and yes after moving out she never returned). Through choice we both walked away with our hearts full of love, and without much more, not even a bed (except of course my books, clothes and crystals I’m not quite ready to let all them go just yet hehehe), we let everything go and the new owner welcomed our home, and our amazing decor’ skills, as his own. And as I write to you today I am open, curious and ready each day in full presence for what will arrive next along my path, our path and the new path we are forging. Knowing that the more loving, brave and courageous I am … the more of this ripples out into the world and into each of your hearts. When you choose to be willing to let go on a deep, deep level of the stories you tell yourself about how life “should look,” particularly the ones that continue to hold you back from your greatestness… this is when we find real freedom, and from recent experience I now realise first hand why so many people resist freedom because it can be a super scary place to be in …. and I get a feeling this awareness will find its way in another musing. What have I learnt so far …..
Its totally ok to let go of gratitude for a small while and cry, to be sad, to feel everything and anything that needs to rise. Just remember when you are done to return home to gratitude for all that is being created through you. I have somedays found myself along the way wanting to hold on, to furniture, electronics, little pieces of memories and with each step I have reminded myself “all is well, it is time to let go.” You see all we hold onto to certain things so tightly, in fear, it will be lost or leave but eventually this shuts us down and interrupts the true flow of our life and our divine within. So now as always its over to you dear one as you ask yourself, what are you holding onto that you too might choose to let go of this week … it might be tiny, it might be massive, but just remember inside you is everything you need to do this and the ripple effect will flow on forever. Of course I have so so much more to share about the journey I am on, the steps I have taken, and the awareness’s that have arisen but for now I will leave us in this space of being willing to let go and next Monday our journey will continue, next week we will both be different and next week I get a feeling I will be sharing the learning’s of love that can come in being ok in letting others down …. Letting go, to rise up and fly …. There is a light waiting to be born. To be born in you and I. To be born it needs to be free to fly. To be free to fly we need to be willing to let go. To be willing to let go we need to observe where resistance and control lives. To observe where resistance and control lives we need to be present. To be present we need stillness. To find stillness we need to stop. To stop we need to breathe. Breathe in for 4 counts universal love, thankfulness and infinite source energy. Hold all of this in your cells for 4 counts. Breathe out for 8 counts kindness, compassion, and infinite gratitude for life. Hold for 4 counts as this enters the earths core to be rippled across all time and space. 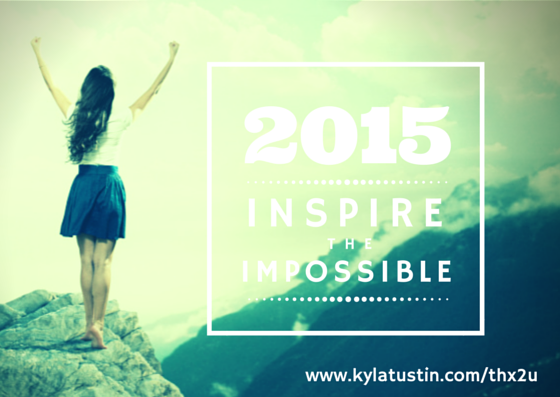 Posted by kylatustin & filed under Be EXTRAordinary, change, Relationships, Self Love, Soul Coach, Uncategorized. This post has no comments yet. Well, well, well … I celebrated my 37th birthday yesterday and am now another delightful year older and definitely feeling a lot wiser, which I guess is lucky given this is the point to all that I am and all that I share. It quite interesting really when I reflect on the year thats been, its definitely one of the most tremendous involutions and evolutions I have experienced, both personally, professionally and of course spiritually. Truly acting from my heart (no matter how crazy and irrational it may seem), learning to let go on levels greater than I could ever imagined and surrendering to the natural flow of life and love have been major themes along the way. What I see now is that it has really given me the opportunity to delve deeply into what I truly believe, without caring what other people think or the fear of needing to be accepted by anyone other than me. And i’m not going to lie, though freaking scary at times its a nice place to be again, like another layer of remembering even more of who I am. Some of you may have heard about these super powered energies about to enter the earth in September (yep thats tomorrow CLICK here for more info from Simone Matthews on it.) And I think this is one of the reasons I’ve experienced so much change and transformation. I actually feel like I have been energetically preparing for this for the last 6 months and so all I will say is together let’s get prepared for the ride of our life. These energies are all about expansion and contraction … which, well we get to choose!!! Like any roller coaster ride we can hold on as tight as possible, constricting our energy and focused on fear as we scream our lungs out the whole way (which will still get us to the same destination). Or we can let go, lift up our arms, look up, breathe in the beauty around us, connect with like minded souls on the ride with us, choose to be fully present to this moment and surrender to the ups the downs as we welcome the excitement in our hearts and jittering in our belly. Often what I see, and hear, a lot of at the moment is people putting off their inward journey, believing it to be a “luxury” and instead focusing on the challenges in their outward journey, which often just brings even more distractions, stresses, and a focus on what is wrong and the people we can’t change. This avoidance of going inwards is totally normal along the way, hell I’ve been there many times, however we have to remember, change comes from within and we are totally deserving of the joy, love and peacefulness that we seek. This avoidance to reconnect, is actually a welcoming of the disconnect and even greater distractions, its like a trap, an ongoing empowering of disempowerment, hence the fear, doubt, and disillusion that comes with it. The opposite of this I am blessed to see and feel every time a client leaves my room, its like a reconnection occurs so effortlessly when we finally take the time. Its a peacefulness, a trusting of life, a deep belief in who we are and why we are here and a desire to BEcome the greatness that lies inside of our hearts. Its time for us all to go back to energetic basics and be prepared, from a place of love of course. As these waves of energies join us anything that has been contracting our energy or we have been avoiding, denying, ignoring, hiding or trying to put off will rise to the surface for the clearing. And in the end, after the storm has passed I promise you, we will be grateful for this clearing out of our inner closets so that we can sit back and enjoy the smooth sailing of these energetic inflows as you expand into all that I know you can BE. Life isn’t actually meant to be hard, we just think it is and so create it this way. Just to be clear, if you feel like you have been waiting for positive change to occur and wishing that your life or the world was different well I’m here to tell you this just isn’t going to cut it anymore. We are in a time of accountability, of letting go of looking backwards and forwards to choose to BE HERE NOW, we need to choose our reality, and then act from this place. This includes what we watch, eat, talk about, think about and spend time engaging in and its not about “perfect” its about being authentic and having a fine tuned “awareness” and trusting, knowing and feeling what is right for you right now. Each moment we put off a dream, a desire, a passion, a love, till tomorrow or even next week, we are putting off the most spectacular masterpiece, we are actually putting off our joy, our passion and our most EXTRAordinary life. So now over to you amazing empowered soul … What life are you choosing right now????? Is there anything you been putting off??? It is time to make that courageous choice and choose YOU, and know I am right by your side cheering you on and here to support in anyway that I can. PS. If you physical is in need to some FLO to support your expansion and fill your cup of love … then come and play with us on Sunday 20th September as we unwind, strengthen and relax with myself and Mandy from Flo Pilates. These sessions are amazing and book out so be sure to check out the Facebook link here. PPS. Watch this space because our soulsational The Sacred Circle spiritual development group as it is on it way back in, refreshed, recharged and full of new excitement. I will be sending updates out very very soon. Posted by kylatustin & filed under Be EXTRAordinary, change, Confidence, Energy Healing, Intuition, self doubt, Self Love. This post has no comments yet. Today I am going to put the playful life enthusiast muse aside for a moment and welcome in “serious task master Kyla” to share something very, very important with you … but first a quote. Now this might sounds a little selfish and weird at first, and that is exactly the point, and for others you might have been working towards overcoming this for a while already. You see we can only truly share pure life giving love in the world if and when our cup is full or at least has a few drops in it, and we definitely can’t win the race of life on empty. How do I know this … well I’ve tried a few times and I can tell you it doesn’t end well. I would even hazard a guess that if you are someone who is still in a habit of putting others above and before yourself then you might not even realise just how often you do it. I know my habitual “yes’s” sometime sneak in so quietly I don’t even realise they are happening. So if you just have a feeling that you might be sailing the waters at the moment with an empty cup or fuel tank, I would like you to ask yourself “whats in it for me and what belief is below this desire to ignore or choose not to voice and action my own needs? ?” You see there is always a secondary gain involved as otherwise we just simply wouldn’t be doing it. For me as a 7 in the Enneagram my basic fear is to avoid pain and with this comes the belief that “ill be ok (and avoid feeling pain) if I can make sure everyone else is ok and happy” and I can assure you this was a very exhausting belief to hold onto. Im intrigued to know what yours is??? Why do I care so much about this … well everywhere I turn at the moment I see loving, open hearted people exhausted, burn out, sick and even super sad because their soul knows they are putting their needs last … so our mission for this month, this year, this century is to FIRST practice and ripple “inner and outer self love and kindness” into our world through our words, our actions, through everything … yes fuel yourself first. Then I invite you to become curious to see what positive impact this has on your joy, your happiness and your connections which are then done through the purity and innocence of love rather than an strange obligation of selfless sacrifice (it even sounds icky, being self less means we totally lose our self). 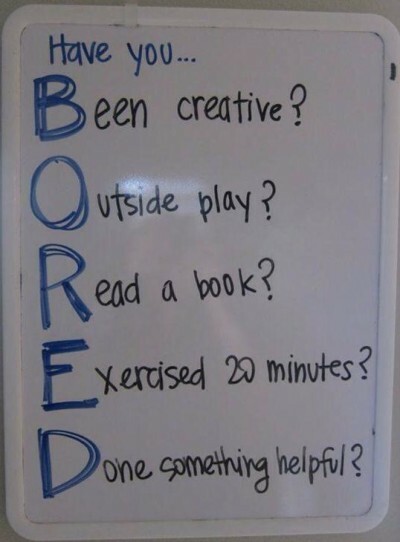 And for all the mum’s reading this, even starting with 30mins a week for yourself is a miraculous gift for the soul and your energy, and its not about finding the time, its about MAKING the time. Some of you might have even noticed me putting my needs first in the last few weeks and this has meant a couple of musings have been missed. Did I feel a little guilt and sadness arise as monday passed and went “of course I’m human just like you.” But as I allowed the discomfort I also realised that “walking my talk” is better than “faking my walk” and last years 12months of pain with a herniated disk has taught me my health and my happiness must come first. So now know that going forward if there is a Monday we miss together, it is a reminder that I am off doing something life giving, or maybe simply having a lie in. And with this silence in your inbox comes a gentle gift for all of us to put our needs first, and guess what … strangely the world still goes on without us. Happy Monday to you my beautiful friend and may kindness fill your heart and soul this week. And if you have a friend or family member that might benefit from these words today then please share it along, the more self directed kindness in the world means the more love we have to share in the world and the better off we will all be. Immense, immense, magical love and self kindness coming your way …. WHY because we are so so so worth it. Posted by kylatustin & filed under Be EXTRAordinary, change, Confidence, gratitude, self doubt, self esteem, Self Love, Soul Coach. This post has no comments yet. I felt today I would surprise you by popping along in just after lunch with a gift of a moment of powerful presence and truth. An opportunity to get real with ourselves … yep right now. You see I have been sitting on a draft email for months now, ridiculous I know, to a very special lady and mentor who I would like to connect with in the speaking world. Today I lay down on the ground and totally surrendered to whatever part of me was afraid and to the crazy stories my mind had made up and then I got up and sent the email. With this came the realisation, I was only holding myself back because there was a part inside that forgot for a while that I am already enough. You see its quite simple really, with or without a reply from her, I am still enough right now, its only the ego mind that was holding me back from experiencing disappointment, rejection, or any other emotions I feared, when the greatest disappointment truly is not completely going for our dreams. The weirdest part I didn’t even know I was doing this, you see I am usually pretty good at stepping up and putting myself out there but for some reason this step felt scarier than usual and so I magically hid it in the draft cupboard and tried to pretend it wasn’t there, but deep down I knew. Yep even those of us that walk, talk and live this stuff everyday have sneaky little gremlins inside wanting to hold us back and keep us safe. Our mission, to love all these parts even more, to give them presence and time and then to get back up, take a stand for what really matters and to keep moving forward, one kind and loving step at a time. What is one small thing that you have thought about doing for a really long time and every time you start, you stop and hold yourself back??? Deep inside of you, there is a part that knows the answer to this question right off the back, even if you “think” you don’t, remember those inner gremlins can be super sneaky … lets pick up the pen and just start writing, it will come and you may be pleasantly surprised and freakishly excited by just how easy it can be to step up and ripple even more positive change into your life. Then after you have the answer, I want you to go ahead right NOW and take the first step, no matter how small it might be… even if it means scheduling in the time to do something if you are busy right now, any commitment is better than hiding in the cupboard of safety. Shine brightly dear one and I can’t wait to hear how amazing you feel when you take the first step. Immense, immense, magical love coming your way …. 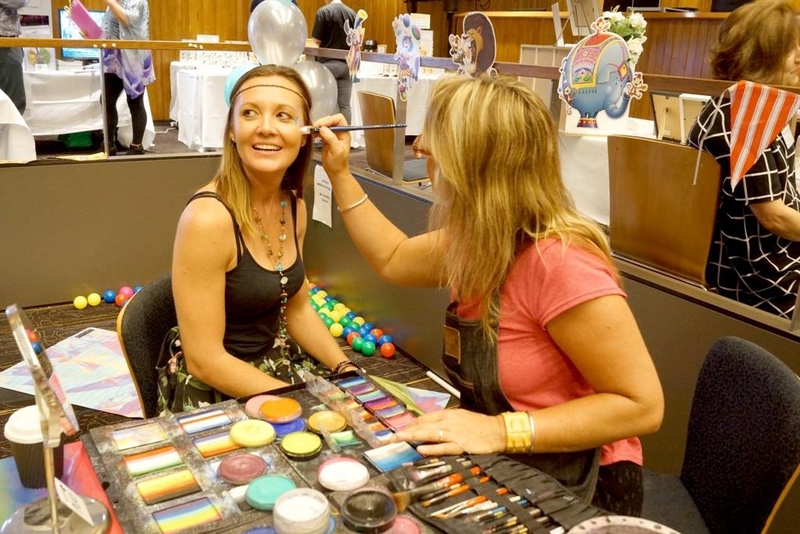 PS … its that very very special time of the year again when we will be hitting the North Shore and spreading our “Embrace Life” festival excitement and LOVE. Keep your eyes peeled over the next couple of weeks as I share the release of a BRAND NEW workshop and so much magic and transformation to be CREATEd on the day. CLICK HERE or on the image below to JOIN the event and find more information on all the amazing wellness practitioners, art and music going to be shared on the day. Posted by kylatustin & filed under Be EXTRAordinary, change, Confidence, self doubt, self esteem, Self Love, Soul Coach, Soulful Living. This post has no comments yet. I’m a bit excited to share this gift with you today … hence the second email in one week as it just felt like it couldn’t wait. After creating the Monday Musing I was guided to sit down and take a soul journey which I had to record for us all to enJOY and receive the activation and soul reconnection together, and so here it is for you. Before you listen I would invite you to revisit our mission for this week and really surrender into “who do I choose to BE.” Hint, hint a complete illumination of our soul essence would be a pretty darn amazing intention. And even though it doesnt completely sound like a meditation, more like a little soul sharing, I would recommend laying down, palms up and being fully open to receiving as you listen. This is the first time I have shared a recording like this before, but I get the feeling now that I have created the space within lots more will be on their way and so I would LOVE to hear from you after you have regrounded; with any sharings or experiences you might have throughout it. Click here or the image below to download the recording. Posted by kylatustin & filed under Be EXTRAordinary, Energy Healing, Self Love, Soul Coach, Soulful Living. This post has no comments yet. Wow what a week we had on the stormy shores of Sydney and beyond … could you feel it clearing you on the inside as well???? Yep with all this wind and rain our heart charka and sacral will have had the opportunity to embrace an almighty cleansing. The magic is its now its time to decide (and even for those of your that don’t live in NSW the impact of Mother Earth clearing will be very wide felt) … what’s next?? So our musing for this very special Monday begins at the beginning … a returning to you I’m going to call it, as it feels like this is exactly the opportunity we have been handed to us. As we take a moment to pause together “aaaahhh” now breath let’s pose a magical equation to our soul … if my heart is now clear and free. And I am open to create all that I can BE, who will I choose to BE??? Remember after a massive inner cleansing like this we can quite easily return to the way things use to BE, the patterns, conditioning and misbeliefs that no longer serve us but theres no FUN in that … so lets imagine instead the truest, most magical, most heart opened YOU and how you can nurture and nourish this you to ensure as the weeds have been cleared she or he grows and grows and grows as the sunlight returns. Posted by kylatustin & filed under change, self esteem, Self Love, Soul Coach, Soulful Living, Uncategorized. This post has no comments yet. Monday Musing: Whats the purpose?? What I see so often are EXTRAordinary souls sad, deflated, anxious, or depressed even because they can’t find or don’t know their purpose … how do I know this, because that use to be me. Always questioning “is this right, is this my purpose, have I found it yet?? ?” and guess what I found!!!! The answers to this questions are not outside, and are definitely not in a job. What if your purpose is simply to BE the uniqueness of you? To honour your values and LIVE in alignment …. And most importantly to learn to completely love this YOU in the process … then what magically happens as you reconnect to the real you; the noisy voice of doubt starts to dissolve and all you desire to DO and have, or the how, will begin to show up the more open you are to all of you. Posted by kylatustin & filed under Be EXTRAordinary, Confidence, gratitude, self doubt, self esteem, Self Love, Soul Coach. This post has no comments yet. Monday Musing … Its April Already? There is a moment in time, when all moments in time collide … when you wake up one day and realise wow “how did April get here? ?” A stirring begins and you think to yourself, would I be happy if this time next year I was exactly where I am now, experiencing the exact moments, feelings and thoughts I am experiencing right now. If the answer is YIPPEE of course … then zipa dee do dar, nice work. If the answer is NO I wouldn’t be happy or I could be happier … then what can you change or do differently today to ensure this won’t be the case. 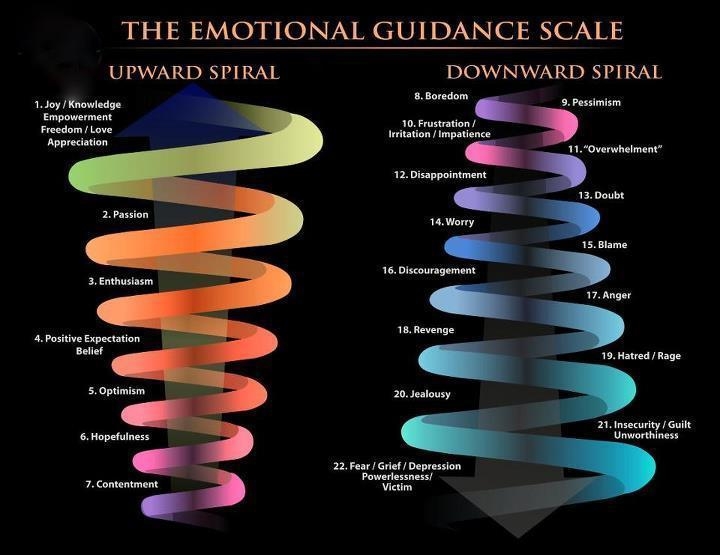 Where are you on this emotional scale today and more importantly where would you like to be? And yes moving might involve seeking some outside support and that is totally OK, we are all human you know??? And if the answer is hmmm good question, I’m not sure. Then today is your lucky day, sit with this and see what magic arises in your soul of souls wisdom. You see there really is no “right” no “wrong” no “good” no “bad” answer to this … there is just you being fully fully truthful with yourself in regards BEing ALIVE. I already know how amazing you are.I’ve seen it in your eyes or felt it in your heart when we connected, but do you??? and if not why not?? WAKE up, GET up, STAND up, and create your greatest as of today. Even the smallest ripple of positive change today will have long lasting impact on who you are and especially where you find yourself in exactly 12months time. Time and energy are going faster and faster, which means so is our power to manifest, and so we need to be like magical super sleuths to ensure we are manifesting greatness and not more ordinary. Posted by kylatustin & filed under Be EXTRAordinary, self esteem, Soul Coach, Spirituality. This post has no comments yet. As I woke this morning with excited anticipation for the energies of the full moon and the lunar eclipse I began my usual ritual of drawing cards for inspiration. As I began I got a string in my soul to speak a little louder and then I had a lovely idea … why not share this with all of you as a way to gain guidance in the potent time. 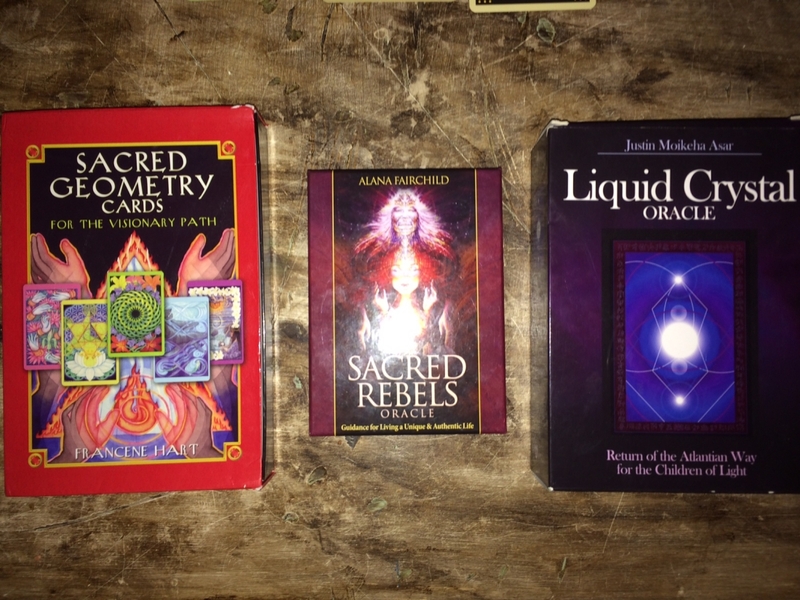 My only recommendation would be … before or after you read what has been written through me … sit with the energies of the cards and write down a few little self empowered notes from your soul. Inside you is wisdom just waiting to be birthed and we give this freedom by allowing it to flow into form. The joy that arrived when I received this card was beyond; magical. It is a reminder to allow the innocence of our magical child to emerge without restraint. To let go of all inhibitions and be playful in the energies of life. The mantra “BE Alive” comes to mind in terms to really, truly, madly deeply entering each moment and each experience like it is our last or my very nearly be the most spectacular experience we are to have in our life. From the boring and mundane, like cleaning the car, to the exciting and adventurous holiday you might be planning. I have been working a lot lately with the energy of the “green dragon” and on its arrival today I closed my eyes and asked that the purity of the fire of her breath clear and cleanse my energetic field in preparation for the rising of the full moon and lunar eclipse powers. So lets encourage and inspire the unexpected to arrive in our life today. Let go of any fear that it might bring chaos and allow the excitement of discovery to flow through our veins in the anticipation that not only will magic arrive but that we truly are the magic. Remember in our core, we are all made of star dust. This card brings a very special message that each of us reading this today is part of a super special clan here on earth to honour and celebrate life on this planet. Those of you that know me well know just how much I LOVE my inner sacred rebel and the enlivened spirit she brings to all I express, share and live within. Its quite ironic really because in certain aspects I thrive on breaking all the rules of our conforming society and then in other occasions, like someone pushing in in a queue, another part of me ignites and is totally not ok with breaking the rules. I think this is when true freedom of love comes though. When we are able to observe just how contrasting and ironic all parts of us are, soul, spirit, ego, personality and sit in a sacred space of observation and acceptance rather than judgment. Today we are reminder as we let go of judging ourself and a powerful transition occurs and we let go of judging others. There are always going to be people who judge or dislike us, don’t agree with our choices or even try to make them for us and to this I say today … let go of the need to please others and simply be with your truth. You are the sacred decider of your choices and don’t let anyone else rattle your cage. Inside you, you always know what feels right, honour this and all will be well. And by well I mean, what we require for our greatest learnings and gifts as the way of the very powerful sacred rebel soul, isn’t always going to be peaceful and serene. There will be crashing waves, however in this turbulence you get to choose who you will be and how you response. 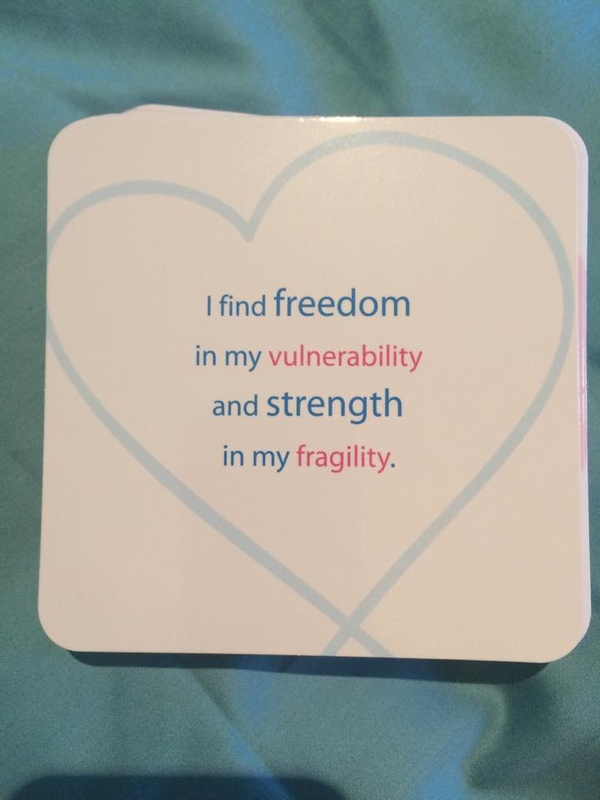 In honour of this card today I would invite each of you to find a way in the next 24hours to invite in the love of the universal mother and nurture and nourish YOU and allow it to rise rather than think about what to do. For me I am feeling totally nourished as I share this amazing little connection with you here today and after a gentle little stroll in the rain which made my heart sing loud, loud, loud. Combine the energy of love, the surprises of the green dragon and BE in excited anticipation for this moment to arrive magically for you this weekend. Are we seeing a pattern yet …. Love and freedom are truly one and waiting on our doorstep!!! In our truth we are truly free. 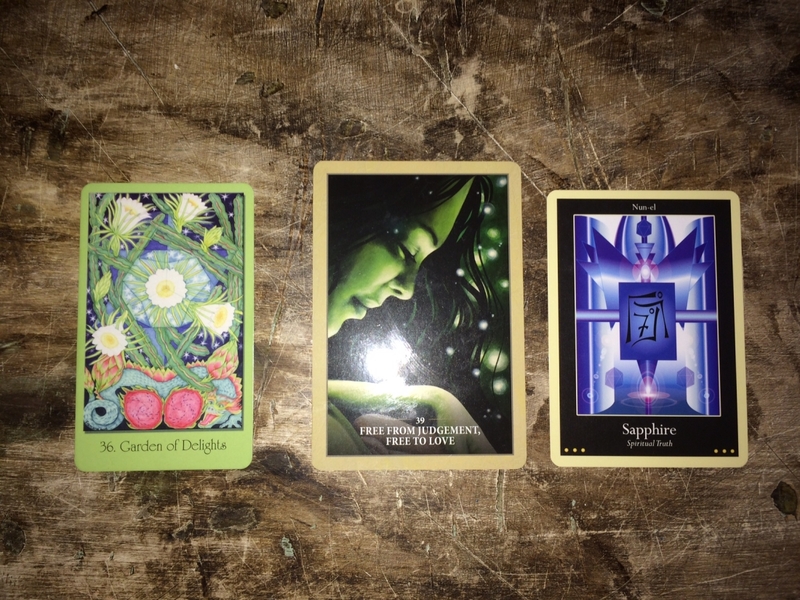 The message from sapphire today is to really be in your truth, now and everyday. From the choices you make, to the boundaries you set to the words that you share with yourself and others. So often I see people do and say things to be good, nice and keep the peace. Well to be honest in keeping the peace you are actually creating a very unpeaceful disturbance in your energy and in the connection between you and another. This doesn’t mean projecting what you are thinking and feeling; particularly with blame. It is about creating space to honour and process your feelings and then keeping authentic and real relationships in your life. In honour of my amazing soul coaching journey with Denise a message comes to mind “your soul knows the truth.” It really does and it wont want to blame, shame, guilt or make wrong anyone else. It will hold a space of openness, stillness and genuine kindness for your needs and the truth to be held in your relationships. May you set free your spiritual truth today in whatever form you desire as you allow the magic of the green dragon to purify your field, your sacred rebel to love yourself fully and completely and the sapphire to support you to shine even more brightly in its blue energy of truth. Immense love special sacred rebel and may this long weekend with all its powerful energies illuminate the inner peace and sparkle of joy you were born to be. PS. if you are feeling the calling for your own personalised 3 card oracle card reading and healing grid to infuse the energies this week … let’s connect!!! Send me your name, email, where you live plus one question or area of focus and we will create some outer magic from the inner realms for you!! For $67!! Posted by kylatustin & filed under Be EXTRAordinary, change, Energy Healing, Soul Coach, Soulful Living, Spirituality. This post has no comments yet. Aaaahhh … can you still feel the sweetness of serendipity in the air from last week … its so lovely. This week the energies are taking us into even more magic as we enter the world of great, great, great transformation through our dearest friend GRATITUDE. I often notice how in the “pursuit” of anything … happiness, success, excitement, wisdom, service, transformation, purpose … we can sometimes forget to savour the sweetness in this very moment and in all that is within us and around us. Do you ever get this feeling???? Well as we enter our very special week of “sweetness” when all things sweet often arrive in the form of chocolate eggs and bunnies I get another feeling, in that the feeling of GRATITUDE, is ready to come and play. Wishing you a wonderfully sweet week and long weekend on its way. Wish ing you a serendipitous week filled with greatness. 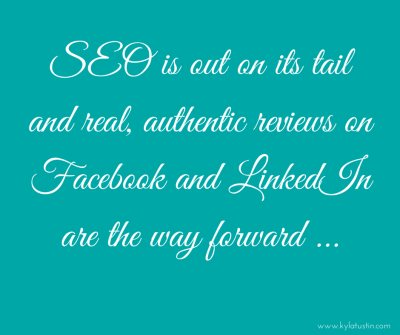 Aaaahhh serendipity is in the air this week …. I don’t know about you but the word serendipity gets my heart fluttering and my soul very very excited indeed. I’m curious … what if this week you invited in this very special and magical friend, and chose to stay fully present to the potential appearance of a “serendipity doo dar” moment arriving in your day. The energies have been pretty massive, crazy and huge of late and my recommendation at these times is to relax a little, have some fun, dip your toes into some playfulness and invite the innocence and magical moments to return ..
Posted by kylatustin & filed under Be EXTRAordinary, Confidence, self doubt, Self Love. This post has no comments yet. Letting go of who we think we should be …. Into and onto the path which journey’s you back to your greatness there will be moments of letting go. Moments when you need to be willing to completely surrender of all that you THINK you are, all you have been taught to be or even just who you have grown to think you should be. This week is one of those weeks … its time to let lose with love, do things at your own pace and as the layers fall away you will receive the blessings of stepping back into who you were really were born to be …. Yay for you I can hear your inner raving fans joining the party already. Wishing you a week filled with greatness. My musing, is our musing, my heart, is our heart, my vulnerabilities, are our vulnerabilities and my love, is our love. I wrote this poem back on 11.11 and it felt very sacred, personal and like I wasn’t quite ready to share it as it shows all of me. Today is a new day, today is the day and as you read these words I invite you to allow whatever resonates with your heart and soul to wash through you like magical transformational rain sprinkling over and through your energy and releasing any inhibitions within your soul. Thank you for sharing my journey with me, without all of you there would be no me in business doing what I LOVE and for this I am forever grateful. May this monday musing ripple through your life and allow you to realise that you are free to create all that you desire, if you choose. Sssshhhh, can you hear it …. you need to be really, really quiet, and even more present! its love and its already inside of you. On a day when many are celebrating the love of another (which is all great as well), lets take a very mini musing moment and celebrate you and all you are already. Yesterday I went to the shops and purchased myself the most beautiful bunch of lily’s and a card for Tobbe. The lady serving me asked me if I was buying the flowers for Valentines Day because my partner doesn’t buy them for me. To which I responded “no, I just LOVE celebrating me and it makes me super happy to buy myself flowers and be reminded of the beauty of life.” She of course looked at me like I was totally bonkers, but thats the end game of super powered crazy love. Loving myself so much it doesn’t matter if others think I am bonkers, and I must say I do love my crazy mad hatter bonkers these days. In saying all this, many years ago I did often wish that Tobbe would buy me flowers more, until I realised just how silly I was being and that I could make it a Kyla celebration day everyday. You see I realised that we seek outwards what is often missing inwards. So if today feels like something is missing, I would encourage you to BE your own valentine and every hour remind yourself “you are so awesome, gee I love you.” And if it feels weird and silly, you are right on track and so keep practising. I am by no means perfect at this and still get busy and stressed and forget sometimes how important being kind to me is. And when I return to my centre, so does the bliss, and I am reminded within the chaos I always know “I am love” and no one can change this, take this away or steal the thunder of my crazy bonkers. May you enJOY being in love with you, today. Posted by kylatustin & filed under Be EXTRAordinary, Relationships, self doubt, Self Love. This post has no comments yet. We all deserve to fly this year …. are you ready to spread your wings, launch your journey and let 2015 exceed even your own expectations. I’m wondering, if you and I were sitting with a glass of sparkly bubbles on the very last day of this very very special year, what would you like us to be celebrating??? How would you like to be feeling??? What would you like to have experienced?? Big or small, wondrous or simple … the choice for this year is yours dear friend, and there is no right or wrong. Its time to listen to your heart, discover what you truly seek and then set the course of action which will get you there with ease. Who knows there might be some bumps, roadblocks or even people whom try to get in our way but I know in my heart or hearts if we keep getting back up, climb over the bumps and stand up for what we believe in YOU WILL BE UNSTOPPABLE …. My mission this year to “Inspire the Impossible” and I am very much hoping you will put on your best costume and join the party. Let the challenge begin … in my posts I will be sharing with you my 365 Days #THX2U I will be pouring my heart and soul into each one and feel immensely blessed and grateful to be taking this journey with such an amazing and supportive community right alongside me. 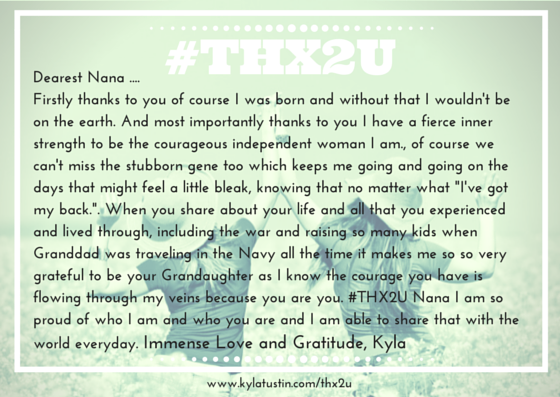 And if you are joining here for the first time and not sure what this #THX2U is all about … click here for everything you need to know and to join the challenge of a lifetime. 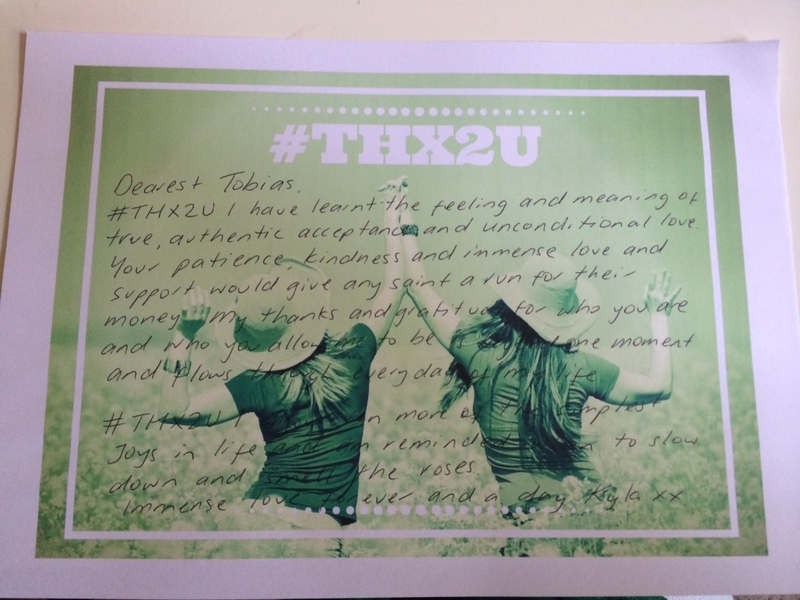 My first and most important #THX2U goes to my amazing partner Tobias … he is forever my teacher, best friend, lover, CEO and my journey feels complete with him by my side. I am forever grateful that the universe brought us together, that we have worked hard to BEcome even more of ourselves together and that our honesty, love and connection grows daily. Many people think an EXTRAordinary relationship is luck, I know its love, kindness, respect, commitment, openness, authentic communication, a willingness to always look inside rather than blame and complain, and a beautiful growing and development of two souls willing to be in a union together. I am not the young party girl he met 13 years ago, thank goodness, and he is not the shy Swedish bartender and we have accepted the changes in both of us along the way … we have grown into more of ourselves and no matter what loved each other along the way and for this I will forever be grateful and thankful. Day 2 I can’t go past a shout out to my most amazing and fiercely proud Nana, Margaret Knight. I am so honoured to be a Knight and the moments we connect and she shares stories of her life with me mean more than words. Love you Nana …. Posted by kylatustin & filed under gratitude, Relationships, Self Love, Soul Coach, Soulful Living, Uncategorized. This post has no comments yet. I love to talk … ok there I said it hehehe. Often though as we move through our day “talking” and not really connecting or listening we can miss so so much. Over the years I have realised that by “listening” I gain and learn so much more along the way and often I am then super excited to share these learning with you. And this is where this new “EXTRAordinary things I learnt this week, while listening” blog series has been created. Some tips will be business related, many will be life related and all will be shared with a lot of inspiration and love. I hope you enjoy coming along for the ride and if you learn something in your week you feel others would be inspired to know then feel free to post your learnings in the comments below or CONNECT with me and share your learning so I can create a very special “inspirational image” in your honour. Posted by kylatustin & filed under Be EXTRAordinary. This post has no comments yet. Welcome back …. I hope you enjoyed clearing some of the clutter of your mind last month by “breathing in love and clarity and being more mindful with your thoughts and words.” If you missed Step One in this series around “Breathe Mindful Peace” you may want to click on the link and pop on over and have a read after enjoying this post. And now its time for Step Two … Reconnect Your Inner Fire. What I see in the world is that many of our inner flames have been put out, burnt out or handed over to others in our life, the best part of this is that we have a MASSIVE opportunity to begin again and along our journey to creating our most extraordinary life we get to reignite this inner fire and begin this by reconnect with what it is that make use tick, smile, proud and YOU (or me). When I left the world of corporate I had no idea where I was going next or even which door I would step through however I knew inside of my heart that I could no longer stay in this place. There was a calling deep within my inner world to “change or perish,” ok that might be a little dramatic maybe it was more like change or be dead bored the rest of my life. You see I had always believed that if I didn’t like something I could change it and at this point in time I didn’t like the behaviours of those around me, the person I was becoming focused only on status and money and the lack of connection within my life. My choice was simple, stay or leave, so of course I chose to leave. ……. Posted by kylatustin & filed under Be EXTRAordinary, change, iamwoman, Soul Coach, Soulful Living, Uncategorized. This post has no comments yet. So before we go on I want to clear something up … you are enough, you are whole and complete and perfect in your so called imperfections RIGHT NOW…. READ MORE over at IAMWOMAN Magazine …. and find out how to really step into believing this and creating positive change in your life by clutter clearing your mind and thoughts from the inside out …. Posted by kylatustin & filed under Be EXTRAordinary, Confidence, self doubt, self esteem, Self Love, Soul Coach. This post has no comments yet. One of the greatest tragedies in our world these days is missed opportunites to really fly, to be our truest self and to create through this the life of our dreams. When it comes to change and living our dreams I hear all the time the same repetitive beliefs and conditions “I don’t have time … or I will get to it when.” What do I see happen???? “When” never arrives and all of a sudden ten years has passed and you are “wishing” you had just changed something, started that course, spoken up about that promotion and truly, madly, deeply just been and honoured yourself. Like imagine if I had decided to stay in banking till “my mortgage was paid off or the GFC was over? ?” I could still be there now and not here chatting with you, now that was defintely a diverted tradedy. I was doing the school run this morning for my sister’s partner and when I mentioned to Paige that it was cold out and she could maybe wear her beautiful pink jacket, she quickly reminded me that you can’t wear that to school … it was then that I asked myself quitely “why can’t kids wear bright pink fluffy jackets to school??”. I was very tempted to ask her the same question and realised best not to confuse a 4 year old with my very unconvential unparent-like views, so thought I would share them with you instead. You see we create so many rules and conditions at such a young age and little do we know these stay with us FOREVER, unless of course we start exploring, do the work and BREAK FREE from the prison of these conditions. If its been proven that our brain performs 31% better when in a postive state so wouldn’t it make sense to be able to let kids be a full expression of themselves and wear the clothes they LOVE and feel happy in everyday and the same goes for us??? How many people in business put on a dreary black suit every day, because this is what they THINK they should wear and LOOKS professional, who says?? Why not add a little pizzaz, a little colour or even a little crazy into your day by breaking free of this societal condition and judgment and just being you. Why do we need a “work wardrobe” and a “play wardrobe” when everyday at work we are still showing up as us. Now I am not saying appearance doesn’t matter because of course we all know impressions last, but in a world where people show on average 10% of themselves to their colleagues doesn’t dressing “as a full expression of you” make complete sense in improving performance and connection in the workplace??? Next came the craziest part, when I asked Paige what she wanted to be when she grew up she shared quite certain, “a kindy teacher.” Of course I asked “is this so you get to play all day” and was greeted with a cold, hard reality. I of course went on to share that I am a teacher and I play everyday so maybe if she wanted to she could choose to be a Kindy teacher that play’s as well. I think she thought I was crazy. My power point for today…. and it starts right here with you. To begin to play and fly we may need to release some inhibitions, especially the noisy pesky ones inside of our head like … what if I am judged, what if people laugh at me …. FYI I hate to break it to you but noone else really cares. If you haven’t noticed most people are too busy worrying about all these things for themselve to really think about you. And if they are judging LET THEM its their loss and deep down we all know they would really just want to join in the fun. Your mission is to become the PLAY champion, to shine the light and in no time everyone will want to join the fun. Don’t believe me … check this out … & go nuts with your movement “MORE PLAY” at work and in life so we can fly. STEP One to releasing your inhibitions and FLYing high … over the next few days just notice the RULEs, SHOULDs and conditions you place on yourself and your life and if there are any of these habits you might like to shake up a little and create some positive change in e.g. could you walk a different way to work, talk to a stranger in the lift, wear a bright pink shirt to work, go dancing on a Wednesday, the list is endless??? then definitely go ahead and choose to BE the change in your life and the world. I can assure you the smallest changes can make the most remarkable changes and the best bit then our brains start to create even more neutral pathways towards these positive imprints. Now to get you REALLY in the mood for our movement here is the “Unwritten” song which I LOVE and is one of my POWER songs …. I would invite you to listen to the lyrics and let them settle in your soul and allow your energy to shift, and your mind and heart to open with ease. Posted by kylatustin & filed under change, Confidence, leadership, Soul Coach, Soulful Living. This post has no comments yet. What does your body language say? If you’re not making headway in your life, you might need to look at your non-verbal cues. I was recently invited to contribute to some “body language” tips for a Sydney Morning Herald piece and thought you all might enjoy the read … by Gayle Bryant. It’s not just first impressions that count. Your everyday body language can be what determines whether people like or trust you – and ultimately whether they want to do business with you. If someone has already made up his or her mind about you it can be very difficult to change, so making sure your body language is working for, rather than against, you is crucial. This applies whether you are asking for a raise, meeting a potential new client, and especially when applying for a new job or role. Maybe you are just ordinary? REWIND … you are totally not ordinary, you were born to BE EXTRAodinary and live your greatest life RIGHT NOW. The impact of not seeing our own potential is that we forget to dream, to live and to ask ourselves “why am I here, what is my verse and what do I want to create today in my life?” Can you believe over 70% of people hate their jobs and yet day after day, year after year they continue to turn up and not change anything, crazy hey. And because EOFY is just around the corner I thought I would offer you all an amazing soulful heart centred investment opportunity, of investing in yourself. I really want to support each and everyone of you to step onto your path of EXTRAordinary and so today I am offering a very special 50% off any session to the first 10 people to book in, in the next 48hours. The session date needs before the 15th July and is for new bookings only and so if you are already coming and seeing me in the next couple of weeks you don’t have to miss out why not book in an Energy Tune up or Accountability Session. You see the magical thing is that the more we open up to RECEIVE the more we receive more and can give more to the world and our life. So the time is now, your life is now, what will be your verse and what will you create out of the EXTRAordinary life you have been given…..
PPS. For regular clients will also notice that I have new prices which kick in from 1st July as its time to enter the world of GST. Are you ready to fly .. Happy Fullmoon Friday the 13th,I was sitting here this morning in meditation and was shown a beautiful image of a woman sitting on the edge of a cliff contemplating life. As she looked up with faith in her heart a gentle angelic guide stepped in behind her, gave her a little tap and encouraged her to jump. As she stepped off the cliff beautiful wings appeared and she flew into freedom and the joy and love that flowed through her, and me, in this moment was EXTRAordinary. After the vision appeared I sat in contemplation for a while and asked “what message could this have for us on this very special fullmoon Friday the 13th?” And low and behold was presented with the gift of taking a leap of faith on ourselves, our dreams and who we were born to be. You see sometimes we need a gentle push to get our dreams moving along (hence why people like me exist) because the longer we sit on the cliff contemplating what a life of freedom “could” look like the less likely we are to actually fly. Yes we all have human brains and pesky gremlins that come up with a millions reason “why not to” and then guess what another year will pass and nothing has changed. Over the decades the power of the divine feminine within all of us, including all you guys reading this, has been suppressed and in its place I often see fear of the unknown, fear of our divine intuitive power, uncertainty, doubt, stress and procrastination. What could be different if with all this beautiful 13 and fullmoon energy you just let go and took a leap of faith on life knowing that it is not what you are going but who you are being that really counts? It doesn’t have to be a huge shift or action even a simple phone call or doing or finishing something you have been putting off for ages, maybe you have been thinking about coming in for a session or taking 5 to sit in the park. As we choose to make small incremental changes the most miraculous thing occurs new neural pathways are created and our cells begin to do a happy dance to this new feeling of faith and want to create even more and then yes you guessed it our dreams really do come true. I have a yearning feeling inside that many people in the world are still asleep to the divine potential which lays within us and it is now time to stand up, step up, let go and FLY. If you feel ready to fly then why not come join me and all the amazing EXTRAordinaires in our community creating our great and enjoy one of our upcoming free meditation groups in the next couple of weeks and allow your spirit and soul soar. Posted by kylatustin & filed under Be EXTRAordinary, Confidence, Intuition, Self Love, Soul Coach, Soulful Living. This post has no comments yet. I am dying, what am I doing to make it the best day of my life? Yes I hate to be the bearer of bad news today but I am dying, you are dying, we are all going to die one day and yet death is often a concept we try to ignore until it’s too late. The reality is if you were to actually wake as if every single day was you last and live from this place, don’t you agree something would be quite different. In the world of investment banking there is one thing that I learnt pretty quickly, everything is about supply, demand and scarcity. Think about it, the rarest products in the world are often classed to be the most valuable however we often never think about the scarcity or rarity of each day, and therefore the value in living our most EXTRAordinary life every single day. Now when I say this I don’t mean doing EXTRAordinary things every day, though of course you can if you choose too, I mean opening our hearts and minds to seeing the EXTRAordinary in ourselves, in others and even in our ordinary, everyday experiences. Like the wind blowing in the trees, the ocean waves crashing against the shore, the kind person who smiles at you on the bus ….. aaahhh the simple life. Through the power of this exercise I find that it allows us to open up to the choices we have in every minute … for example “I can choose to be happy right now” not when I get that next project, get married, finish my study, buy a house … RIGHT NOW. This scarcity and value around life awakens our seed of potential and possibility from within that we had better wake up and shake up our choices so that we can MAKE EVERY MINUTE COUNT. My new mission to make every day and moment count is to slow down, to smell the roses and to focus most importantly on “who I am being” rather than “what I am doing” throughtout my days. It has led me to make some very different choices and decisions which align with my values and most importantly is sewing more seeds of love into my life and the lives of those I encounter. And if you are feeling like your marble needs a little more sparkle or alignment in its roll then definitely get in touch and let’s discuss a breakthrough session to ensure that you have the clarity and inspiration to make everyday count. Posted by kylatustin & filed under Be EXTRAordinary, Self Love, Soul Coach, Soulful Living, Uncategorized. This post has no comments yet. Keep your eyes on the prize??? Often in life and in business I find we are continually reminded to focus on where we want to go. Keeping our eyes on the prize and out of the present. Today I feel like challenging this way of DOing, rather than BEing, by pointing out something …. What if the prize we are REALLY seeking in our hearts is actually already in front of us right now and by being focused away from this we are miss it? Could we actually be missing the joy, the experiences and the miracles right in front of us by focusing on where we want to go? I am all for vision, missions and spreading your message in the world I just find that sometimes the line between doing for doing sake and moving forward can get a little blurred. I have had alot on over the last couple of weeks and this morning felt inspired to go down to the beach to meditate. As I sat there I looked out at the calm quiet ocean, the waves crashed against the shore and I thought to myself “how could I or anyone actually want anything more than this.” Now don’t get me wrong I am totally aware how blessed I am to live right near the beach however most of us have these little bits of mother nature right around the corner and we often miss them completely. I was thinking just the other day how I could count the number of times I went to the Botanical Gardens on one had when I was working in the city for over 4 years and the same is probably true for Hyde Park in London. Sometimes life, or thinking about life, really does gets in the way of living. Whenever I am in nature my heart opens, I feel joy and I know that around me are all people I love, work that excites me and all that I could ever wish for. So what happens to this when I get busy???? You see our crazy busy mind try’s to take us out of these precious extraordinary ordinary moments by keeping our eyes on the prize. This then takes us out of the present and what ends up happening is that we miss out on the pleasures of life, right now. I have worked with lots of clients over the years facing a variety of different levels of anxiety and it still saddens me to hear that one in four Australians experience anxiety and that in the last 6 years there has been an increase of 60% in anxiety related cases. I can see even within my own business this desire for answers around anxiety as my post on Releasing Anxiety with Crystal Healing is my no.1 searched post. As I have mentioned before I believe Anxiety is most commonly caused by fear underpinned by a lack of self worth, constant worrying and chronic stress, and being in the past or future rather than the present. Hence my passion to awaken self belief and confidence within the world and shift our view of stress so that we can all begin to see our energy, and even stress, as a healthy friend not foe. Now I would never want to sound flippant when it comes to such a debilitating imbalance but I am totally excited to say that if you are this one in four there are so many wonderful energy based tools that can support your symptoms and when practiced regularly eliminate your anxiety. How do I know … because I am a previously self confessed stress-addict, now turned stresspert who has research lots and lots and I have seen my clients with really bad cases of panic attacks and anxiety working with these tools and they are now anxiety free. Let’s get down to the nitty gritty top 10 tips …. I can’t emphasize enough how important it is to practice deep breathing regularly. Especially when you aren’t feeling anxious so that your body can begin to get to know this feeling of calm (practice makes perfect) and it will then be reminded of how to do this in those moments when you are feeling most anxious, stressed or a panic attack is coming on. A simple technique … let’s do it together … 1,2,3 “aaaaaaahhhhhhh” breathe out completely, then breathe in for 3-4 breaths, breathe out for 3-4 breaths. The tip here you want to get your breath all the way down into your belly and to exhale as much as possible. I would practice this everyday and a great start is to commit to doing it as you get into bed at night. This will be a good reminder, nothing else will get in the way and it will help with your sleep. If you want to try it lying down place you hand on your belly and feel it rise and fall with your breath. Now you are probably doing this already it might just need a little added intention to it, where intention goes energy flows e.g. as you exercise or relax set the intention that you are releasing all excess energy and stress from your body, affirm ‘I feel calm and release all that no longer serves me to be cleared from my energy field.” Lots of us are really sensitive to energy and sometimes the anxious, stressed out feeling inside isn’t actually even ours we have simply picked it up throughout the day because we care deeply about others. I imagine its like you are walking around all day with a velcro suit on that picks up all the finest particles of dust you encounter throughout the day, except your’s picks up stress, and then you don’t have the tools to clean it off. Exercise and meditation and two amazing tools to support clearing your energy and here is also a quick fix tool I love to use. If you are feeling really anxious then I would recommend starting gently with meditation and even attending a course (I know lots if you want to email me for recommendations). Meditation is a great form of releasing the excess stress in your body and therefore it can feel a little uncomfortable for some people especially if you are use to running a million miles an hour, its so worth sitting with the discomfort though as under this is immense peace. FYI – dancing and singing or even just listening to music is an amazing way to chill out, have some fun and clear your energy. Part of the problem with anxiety is that everyone out there is telling you that you shouldn’t feel stressed and you need to reduce your stress, now this correct to a certain point but the truth of the matter is that our view of stress impacts our energy more than stress itself. Telling yourself continually how stressed and busy you are is much worse than the actual amount of stress in your day. I have always believed that certain levels of stress are healthy as they keep up motivated, driven and inspired as otherwise we would be feeling totally bored with our lives. My challenge to you …. can you change your view of stress??? Firstly, what do you believe about stress withing your life, what is healthy, what is unhealthy and how can you bring in more healthy stress and eliminate more of the unhealthy, debilitating stress symptoms or thoughts (see Tip 9). And if you don’t know what you stress signs and symptoms are then get in touch and I will send you through a really quick 5minute quiz. Next question for you … what juices your energy and what zaps your energy and how can you bring in more juicers and release some of the zappers???? Releasing some of the things in your life that zap your energy will definitely get you on the road to affirming self love and living anxiety free. For alot of people I sense they feel there is a stigma around anxiety and panic attacks which means they try to hide this, the reality is that all of your symptoms are simply energy trying to tell your something is out of balance. Here I am encouraging you to schedule in some quiet time and get to know your anxious self. What do they fear the most? What do they feel is missing in your life? In the moments of most stress what thoughts are they thinking? How is feeling anxious or creating panic attacks serving them e.g. is it protecting them from being seen in the world or making a mistake? The more you get to know this part of yourself and begin to observe his or her patterns the more you can move into loving and accepting them and understanding they simply want to be heard and to share what is really going on inside. We get so used to blocking our feelings and running through our busy days that sometimes we forget to check in with how we are really feeling and this build up can lead to anxiety. Anxiety is not your enemy, though it might feel like it, she/he just needs you share what imbalances are creating the symptoms and we find this by going within and avoiding avoiding heheheh. And if you are not so familiar with your anxious self and not sure where to start maybe watching this video might help …. FYI its a little bit confronting. Start a list of all the things about you that make you amazing, all you have achieved, your strengths, everything you do or be that no-one else can do or be? 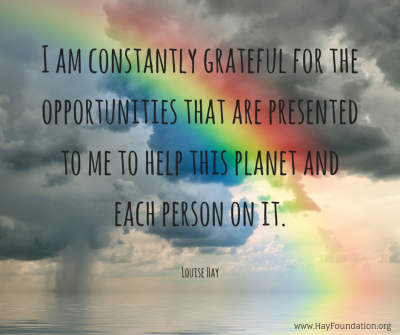 How you contribute in the world, even in the most smallest ways? Anxiety is fear based and so if you tackle it by affirming just how amazing you are and all the cool things you have achieved and are grateful for in your life you will begin to acknowledge how brightly you are already shining and this light can be shone within the darkest hours. Make this an ongoing list and keep adding to it day by day, then in those moments where you are feeling anxious about life, living in the past or future, read this list and begin to acknowledge how wonderful you and your life are already. Adding in moments where you have overcome your anxiety, remembered to breathe, don’t something differently can help as a reminder of yours wins as well. Aaaaahhhh one of my favourites …. “a fear named is a fear tamed” with this exercise write down all your fears, even the ones you want no-one to know. They might seem ridiculous and silly but keep writing. The freaking cool thing about quantum physics is that through the power of observation you begin to change and dissolve your fears as soon as you acknowledge them. Its about taking back your power, especially over your thoughts and mind. After you have created your list, and I would continue this exercise for a few days to get everything out, you can begin to see how these fears might be limiting your life and start to create a new plan based on overcoming these. The best bit about facing our fears is that we realise that most fears are complete fantasy and made up in our subconscious as a way of keeping us from awakening our greatest potential. How often do you feel stressed and then get outside, go for a walk or lay on the earth and its like all your problems just begin to melt away. Well they do actually, mother earth has an amazing healing ability and she absorbs excess energy and also helps keep us grounded and our “earth star” chakra balanced and flowing. Often if you are feeling anxious your earth star, base or heart charka are out of balance and so grounding and getting your feet on the earth is a perfect remedy. Gardening is great if you are a green finger too. And my favourite of course …. swimming in the ocean after a stroll on the beach. What you say to yourself and others really does create your reality…. notice when you tell people how busy you are, how stressed you are, how you don’t have enough time, how you can’t go out because you get panic attacks, or you avoid specific people and situations because they make you anxious. All of these are reinforcing within your body and the universe you want more anxiety. Now this is not the time to get crazy and go all judging on yourself, changing our thoughts takes time and the best place to start is to become more observant with your words and your thoughts. Start a worry journal and take note of everything creating your stress, real or not. Then find ways to change it. Put post it notes up everywhere, pop them in as passwords, put reminders in your phone …. “I am calm, I feel amazing, Life Loves Me, Everyday I feel stronger and stronger, I am great, the world needs my uniqueness, I love myself, I am safe, I trust life” …. you get the idea. We want to short circuit the anxiety and fear based thoughts and create a new way of being and thinking. The scientific truth is your body doesn’t know the difference between thinking something and actually experiencing it and so the more you think anxious the more your body feels it, hence the more you think calm and peaceful, the more you feel it. One of my greatest lessons in this life has been learning to be ok with asking for help and talking about how I am really feeling. Bottling it all up inside only makes things worse. For some of you, you will have that friend who is just the perfect amount of caring, listening and support and some of your might find it easier to talk to someone outside of your circle and thats where people like me come in handy with more tips and tools than you can imagine and ways of personalising them to fit perfectly into your life. Often friends and families hearts are in the totally right place but talking to our nearest and dearest only seems to escalate the anxiety. 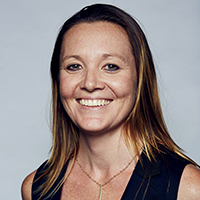 If you are ready to let anxiety go for good and would like some support to tackle this and a clear pathway to walk then I would highly recommend booking in for a one one one Breakthrough Session with me, created just for this and we can do this at my centre in Mosman or via skype in the comfort of your own home. I would love to hear more about how you go practising these tips, if you have any questions or even if you have some to share that have worked for you we could share with the community. 5 must do’s to wake up and shake up your life, right now! OK, so you are ready to take a journey with me today to Wake Up and Shake Up our lives. You see I have spent the last 2 days with the most inspirational group of people, all with an EXTRAordinary mission on the earth and most importantly ready, committed and determined to live, learn, grow, take action and create their mission. Hanging out with these amazing people has lead me to make a pretty big “Wake Up” confession to myself. When I’ve felt into this it reminded me of when you let a balloon go and you know it’s moving upwards but you have no control over where it is going, and with one big gust of wind you could end up in a totally different direction, which has definitely happened a few times. Now without sounding like I’m giving you my own little sob story of excuses, I know this is also exactly what I needed after feeling a little caged for over 10 years in corporate, and I have still been contributing to the world in my own way, but it’s now time to get serious about my mission and “Shake Up” my business, and my life…. again. So I have been asking myself (and feel free to join me for your own personal “Shake Up”) “what will this need to look like and what daily actions will I need to take to keep me aligned?” This will definitely need to start with some practical scheduling of priorities but I felt it also needed to go a bit deeper and so that is exactly what I did at home last night. And guess what …. it has brought me right back to my most favourite subject “self love.” You see I have decided that I need to make an even greater commitment to myself and my mission which may even mean upsetting some people along the way. You see not everyone is as aware of their mission and purpose like you and I, this doesn’t make it better or worse but it just means in a world of “she’ll be right mate” we need to be even more committed and focused on where we are headed to ensure our balloon doesn’t float out to sea. No one else can truly understand the importance I place in my heart of contributing to creating positive change in the world and that makes total sense because they are not me but I need to own it and be committed to it 100%. Yep that right no more “wishy washy maybe ill just go back to corporate lady.” Its time to get serious on committed action, in the most fun and playful way of course. This journey over the last few days has also got me thinking about how can I support you to get on track in your own wake up and shake up, not later, not tomorrow, not next year but right now and so here goes …. Open your eyes and heart to what is already within you, around you and EXTRAordinary within your life. Start a “100 EXTRAordinary things in my life list” and everyday re-read it and add at least three things to it. When you have reached 100 keep going or choose something else like, 100 gratitude’s?? Create a “Daily Acts of SELF Love” ritual and STICK TO IT no matter what. Now this is going to be super personal as your expression of SELF love is going to be totally different to mine. As well as my daily meditation my other acts are usually fun or physical, like flowers and my favourite exercise class, whereas many people are more reflective, like 5 minutes of morning journaling with a cup of their favourite tea. The choice is yours and the act is less important than the consistency and the intention behind what you are doing. I can’t wait to hear how you going along the path of your EXTRAordinary life and don’t forget to share your “100 things” and “Daily acts of self love” with the community as we all know accountability is key along our pathway to purpose and freedom. And if you have any hiccups or hurdles pop up along the way jump online and book in a 30min focus session or 90min Breakthrough so that we can clear the path and keep your balloon right by your side. 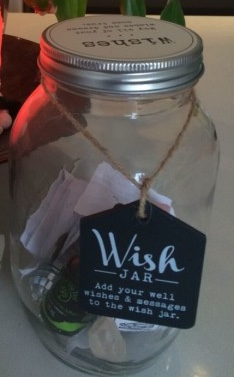 Did you create a “wish” or a “vision” this 2014??? Well can you believe its May … wowsers this year is flying and you know what that means yep nearly two months have passed (or nearly 3 if we met in December) since you created and anchored your visions. I ran a Vision board workshop for Apple last week which was so much fun and it got me thinking about just how quiet most of you have been since we caught up, I have heard a few whispers of success along the way which is always super exciting. No doubt you are all busily scheduling in time to meditate on your vision, to “act as if” and to action your vision however just in case I thought I would pop in for a little pep talk to ensure you haven’t fallen off the vision train and need a little inspiration. Remember ,,, “A vision or goal without action is just a wish” … even though wishes can come true you have much more certainty if you pull your finger out and start taking steps in the direction of your dreams. I just read an article which mentioned that in a five year study of the daily habits of 233 wealthy and 128 poor people it showed that “what we do with our vision boards and our time” will determine if we fail or succeed. As my passion is to inspire ALL who create a vision to LIVE and CREATE it I thought you might enJOY a couple of tips to get and keep you on the pathway to success …. NO.1 if you feel you are flowing nicely with your year and vision already LETs CELEBRATE …. woo hooo for you. Take a look at the 5C’s of Creating Change attached as this might give you a few ideas on what steps you need to action. Schedule some time to review your vision this week and note down some action steps you need to take, ensure these are practical as we dont want to set yourself up for failure. Being faithful with the small is a beautiful recipe for success with your vision. Next diarise and set reminders to take your action steps e.g. Toby and I are off to do the Milford Sounds in April and so we just created a 40day fitness regime to get up ready, set, go and we can now tick off every session along the way. This supports us to celebrate successes and stay on track as life can easily get in the way. Tell anyone and everyone … the more you speak about your vision, plans and actions the more accountable you are and with accountability comes commitment. 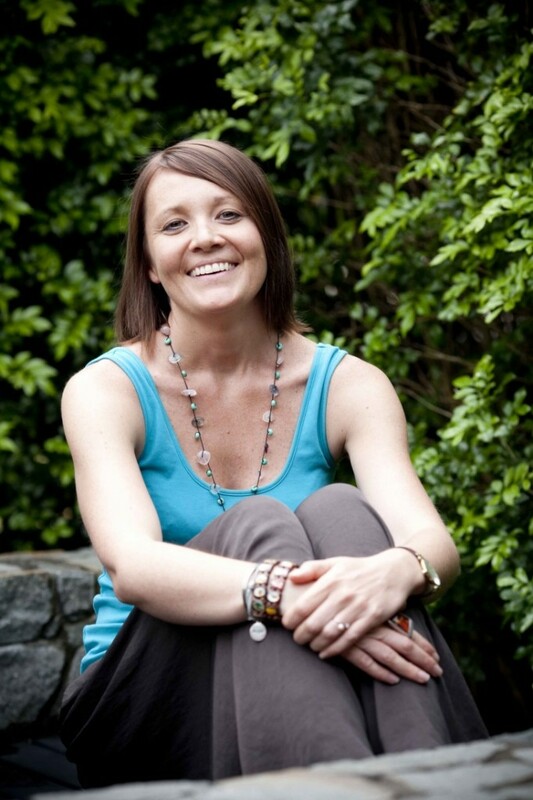 If you are having trouble with where to start, are feeling stuck or just feel like a dose of Kyla motivation and inspiration then give me a call and we can book in a Breakthrough Session specifically to get you on track, clear the pathway of any debris and to create massive exciting change and progress in your life this year. I am also feeling a bit inspired to create a “Magical Month of March (or maybe May) Manifestation Workshop” as a follow up session for everyone who attended the vision board workshops as a way of igniting even more energy into your vision and so let me know if this is something you might be interested in and I will pop your name down… at this stage I am looking at Sunday the 30th for half a day. .. I get the feeling there might be some “Manifestation Mojo” essence involved in this one too. I am really looking forward to hearing of some of the successes you are already having in 2014 … I know mine has been MASSIVE already and I can’t wait to see where the ride of this amazing and powerful Year of the Horse takes us all to. To ENRICH your life & AWAKEN your soul. Simple actions everyday, create lasting positive transformation.